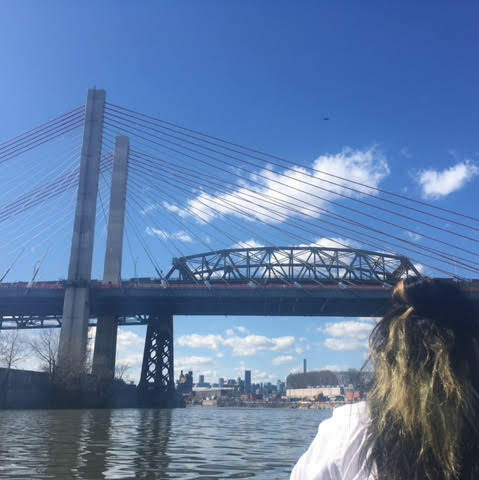 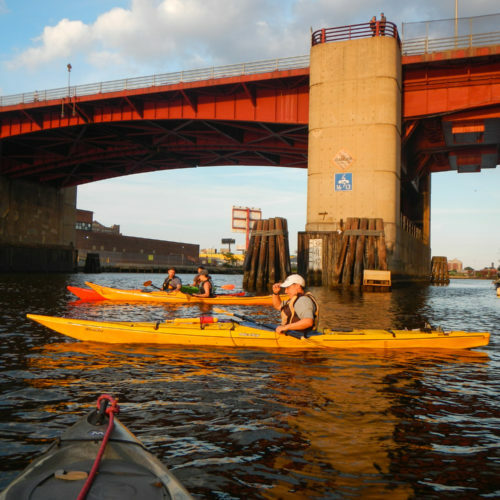 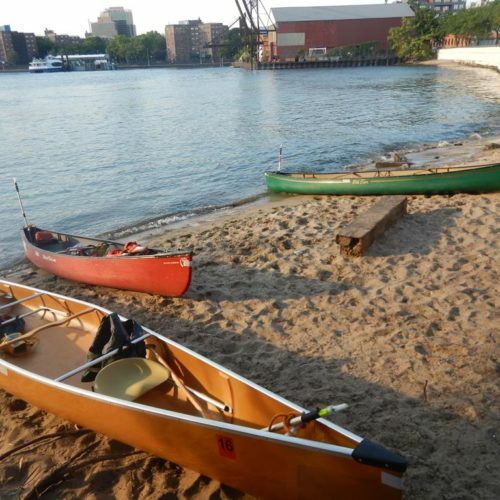 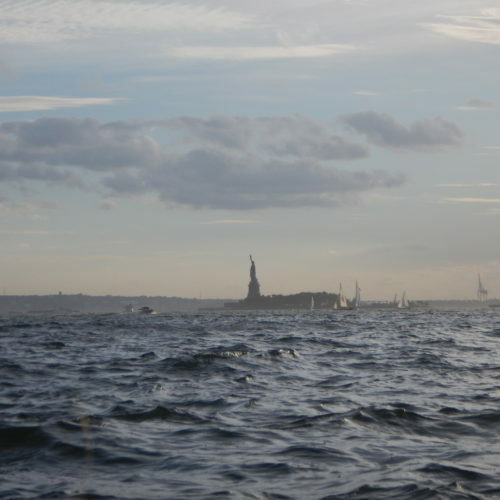 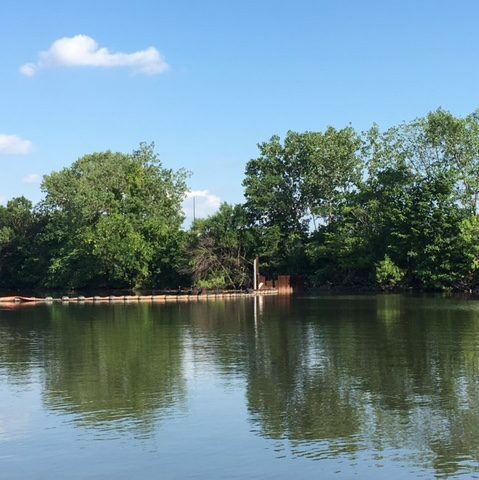 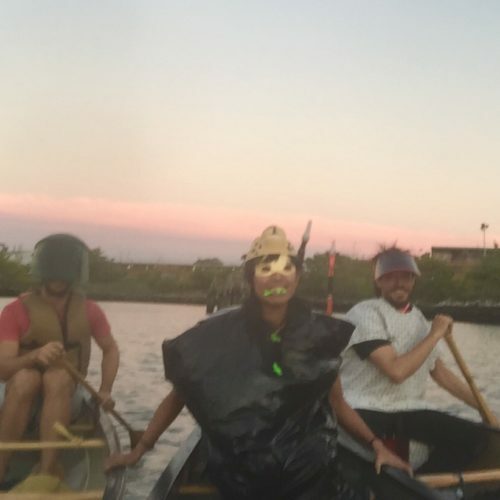 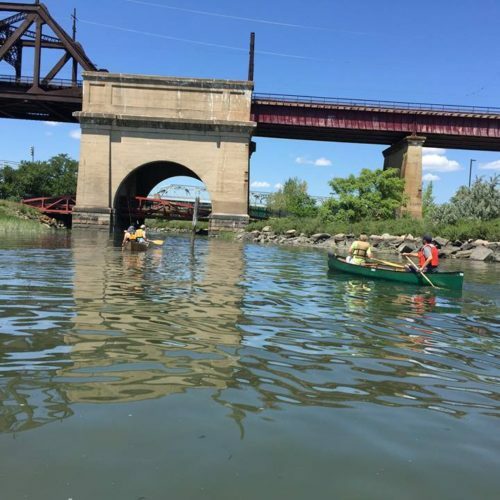 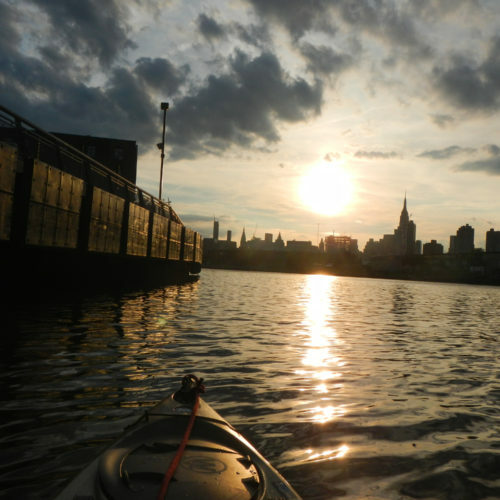 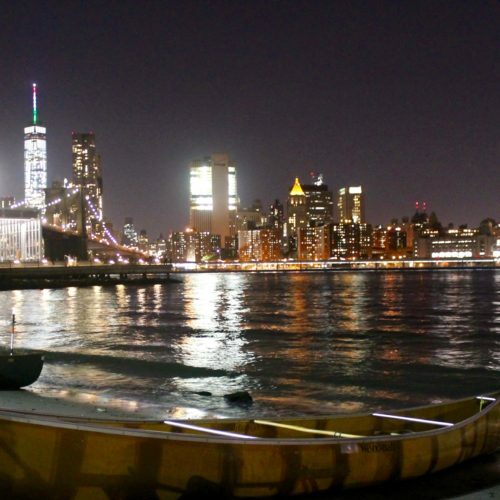 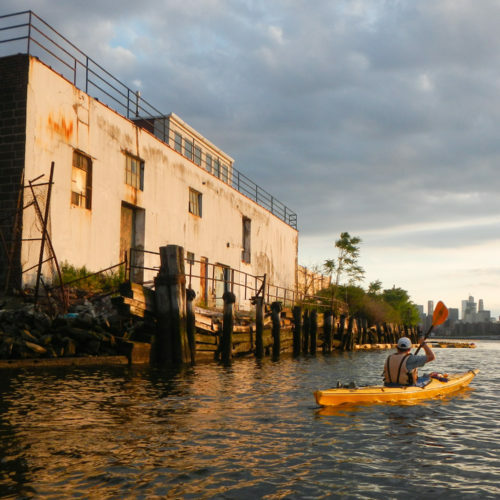 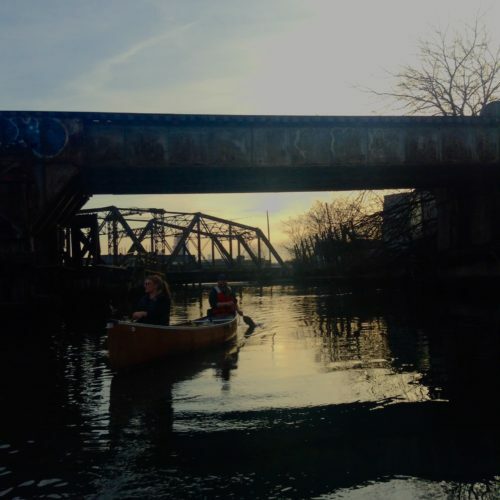 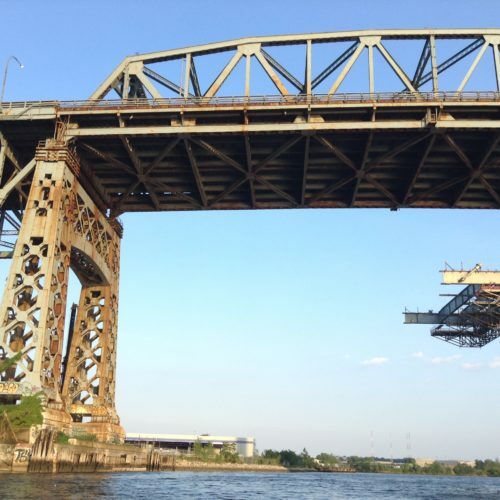 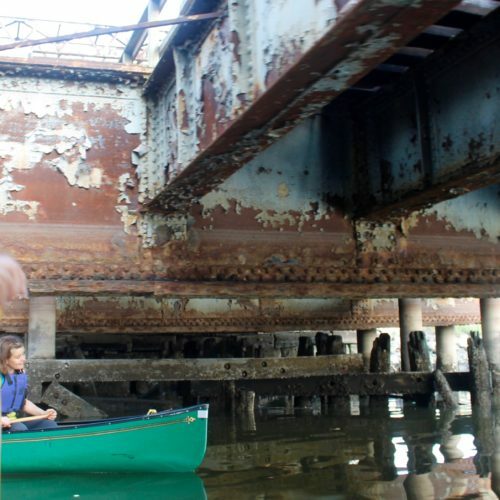 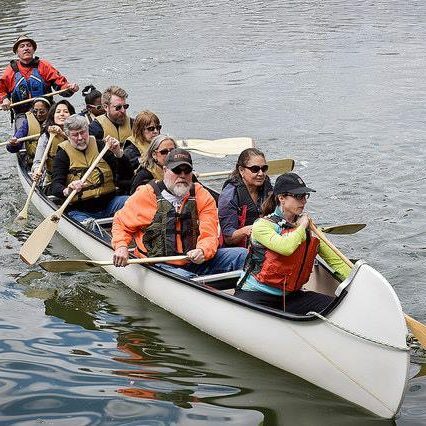 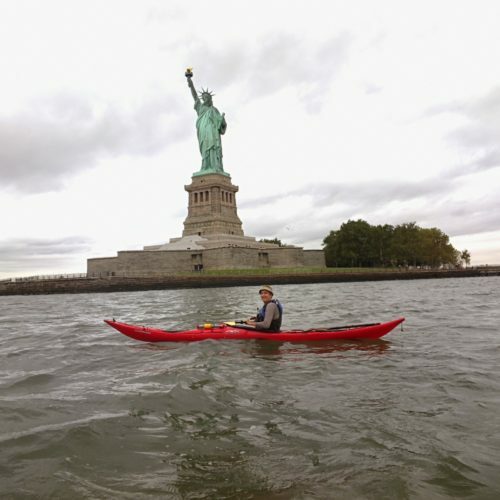 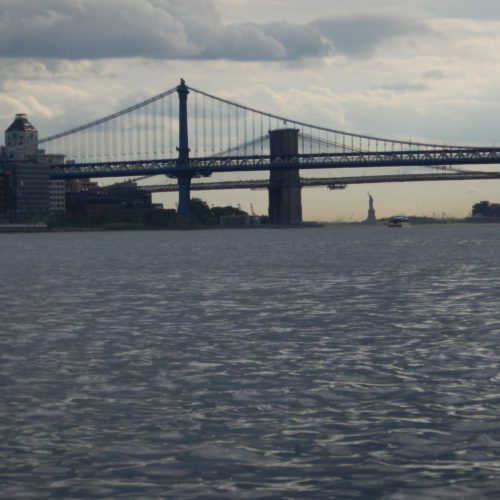 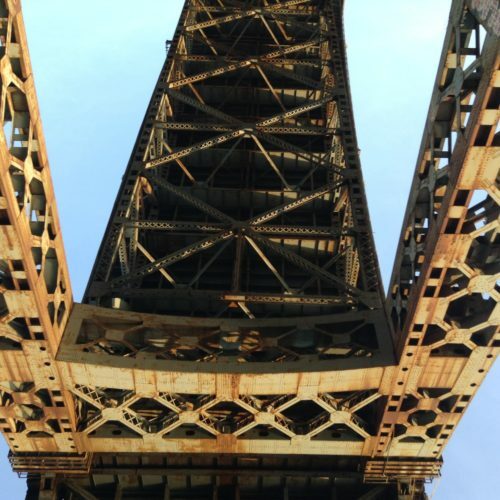 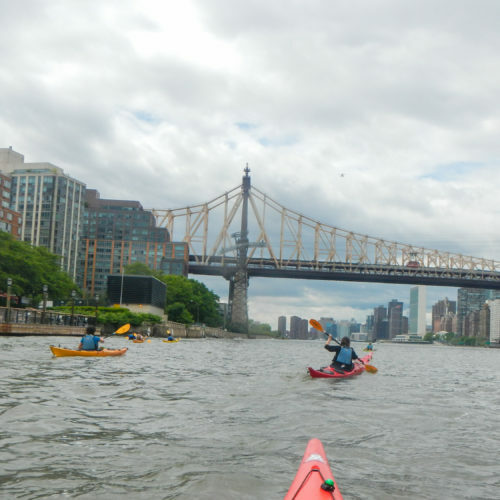 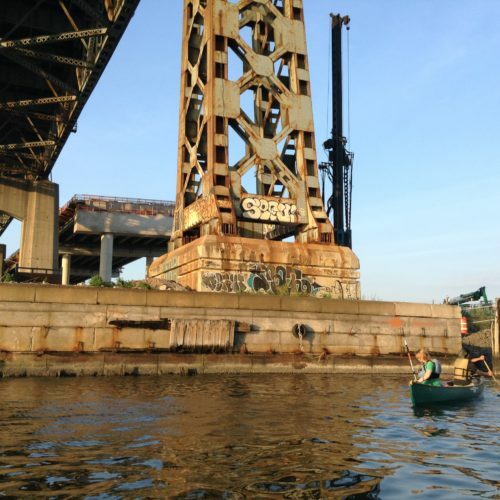 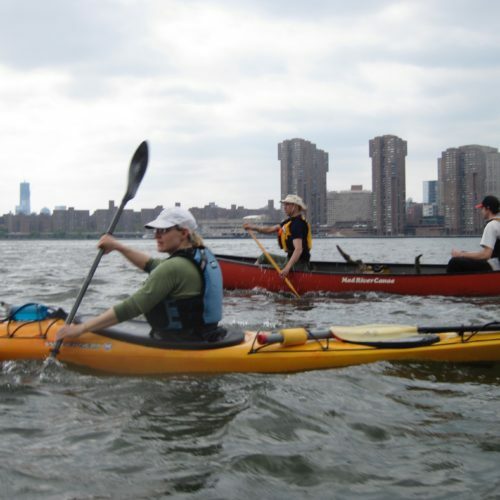 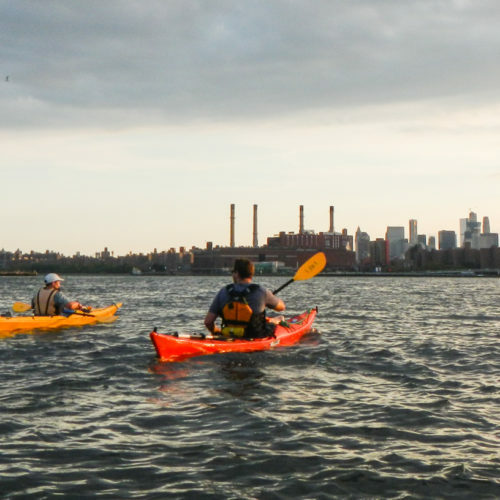 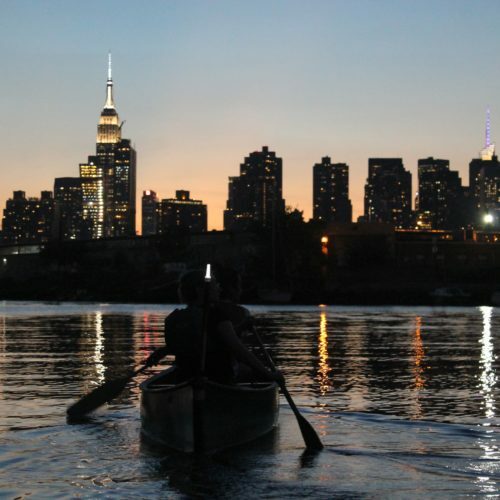 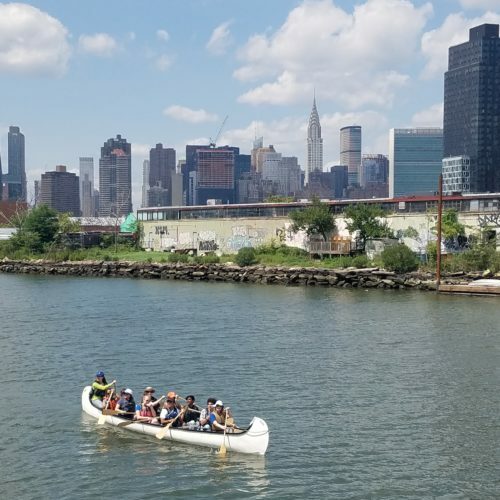 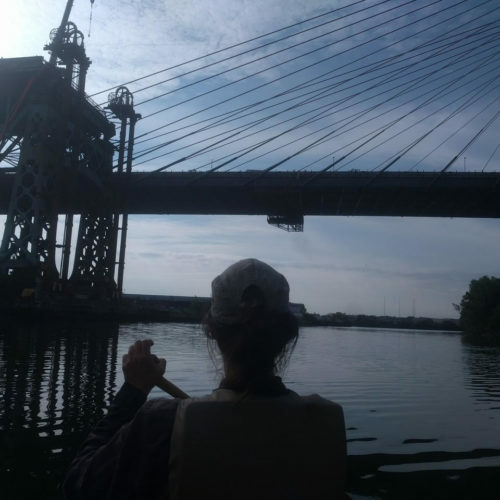 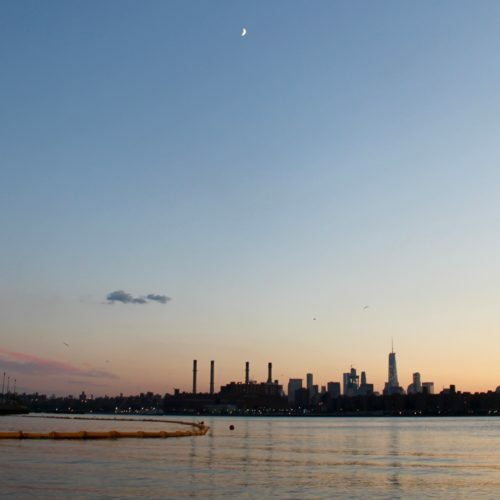 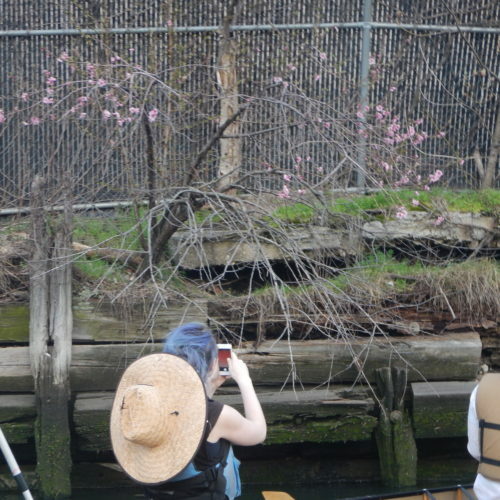 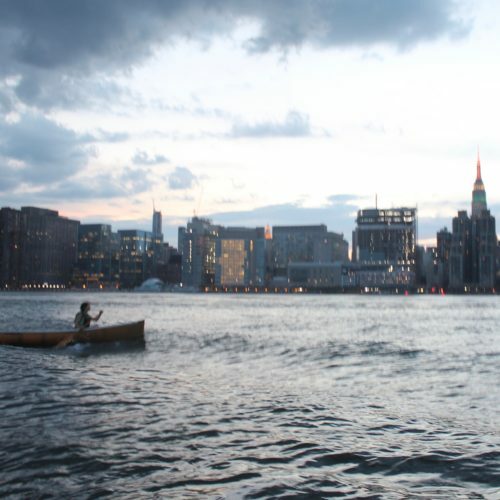 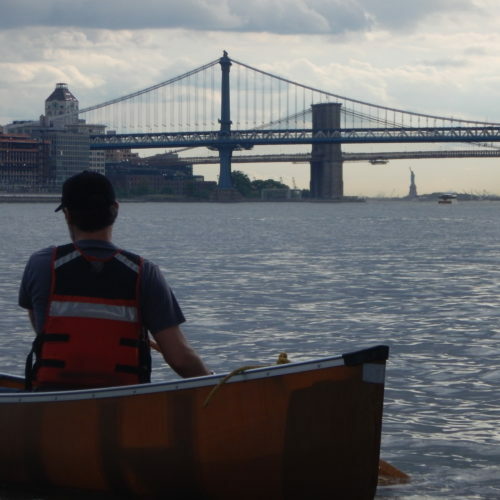 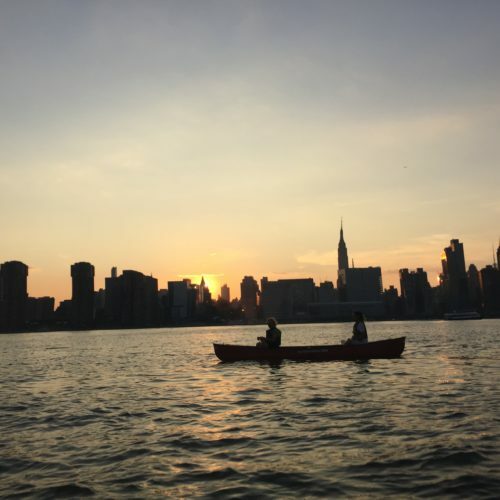 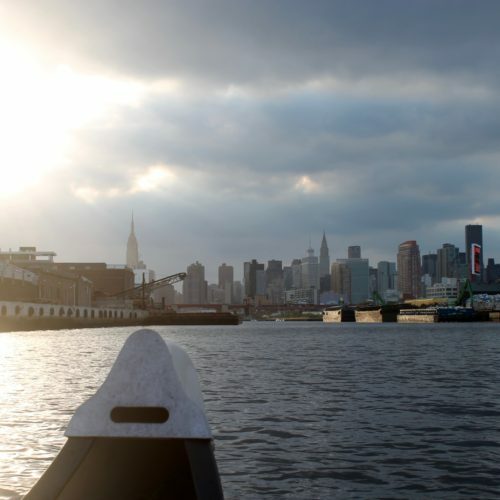 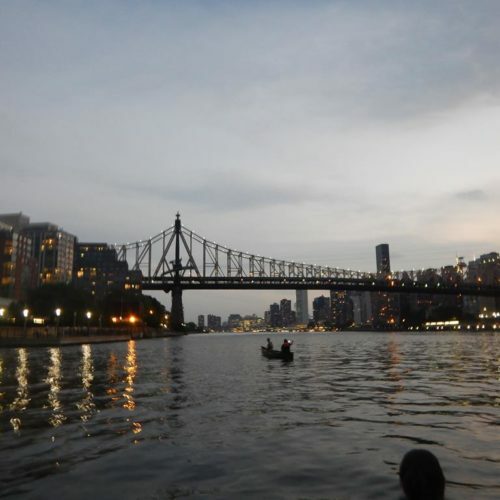 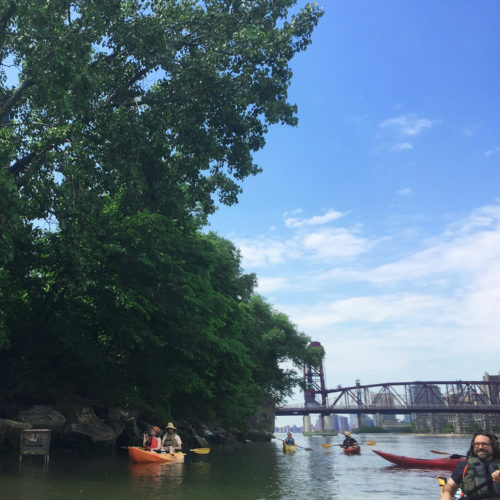 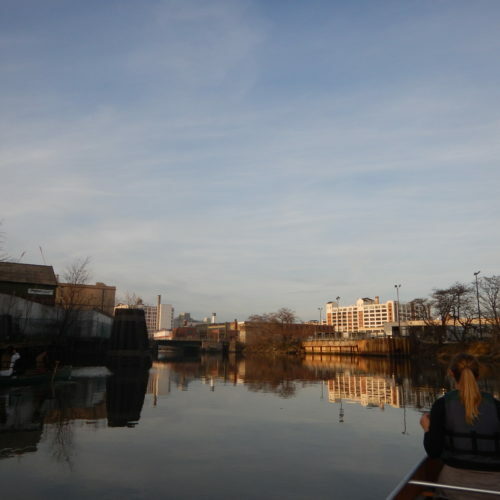 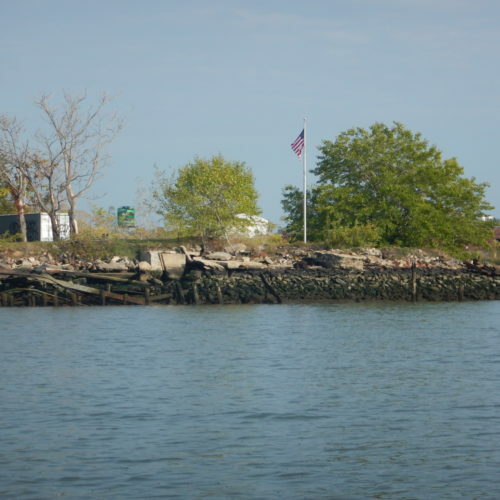 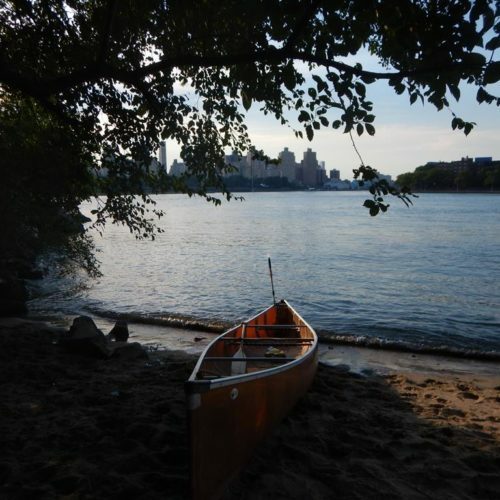 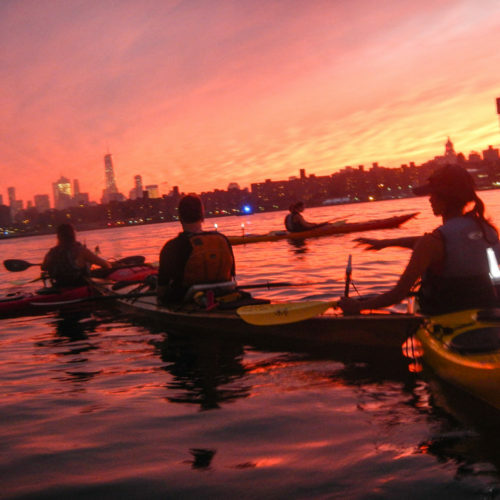 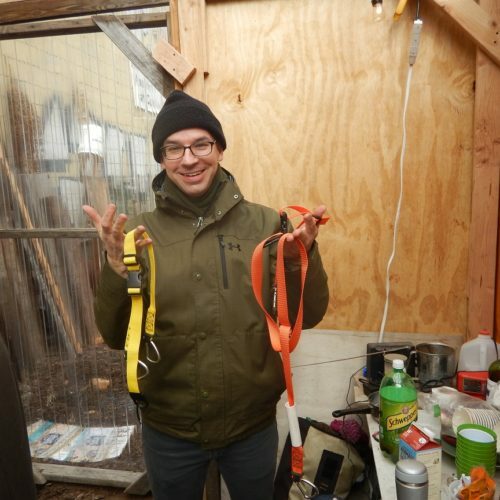 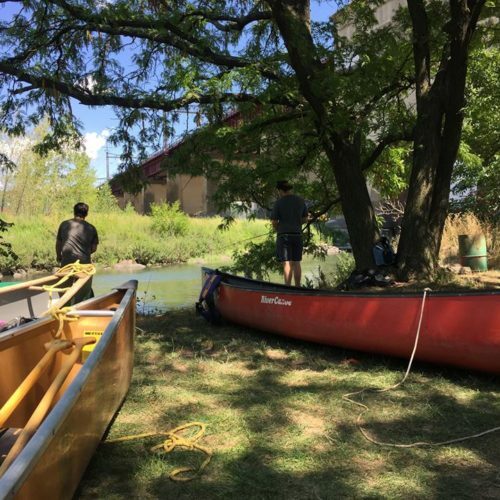 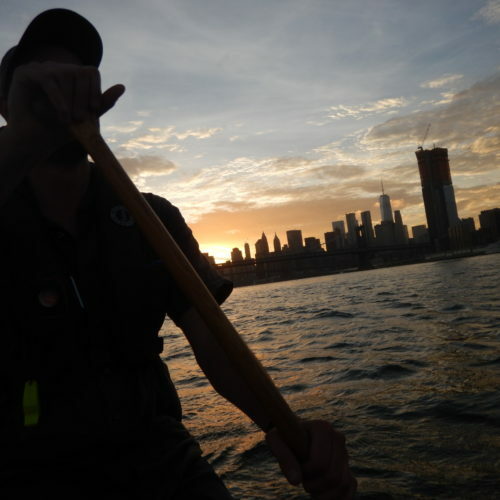 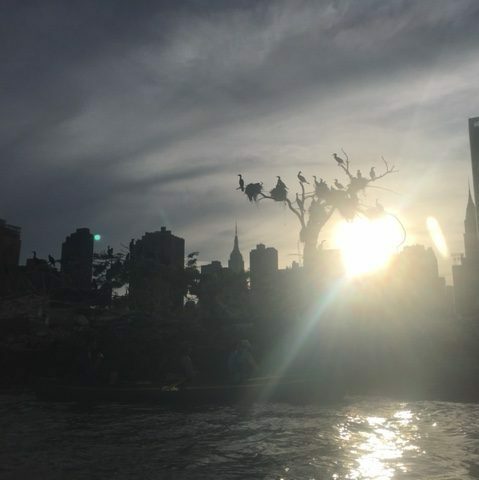 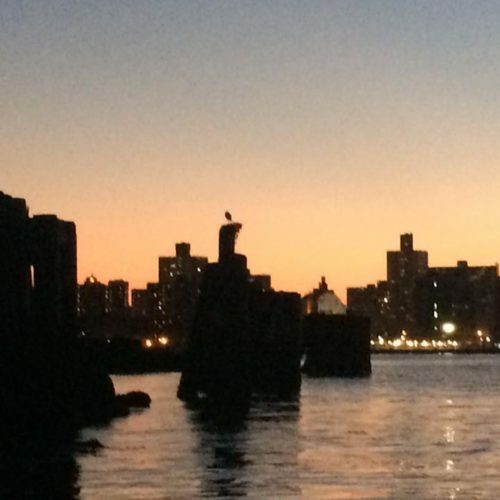 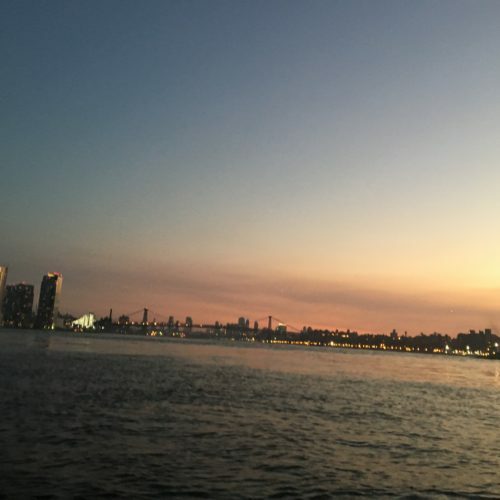 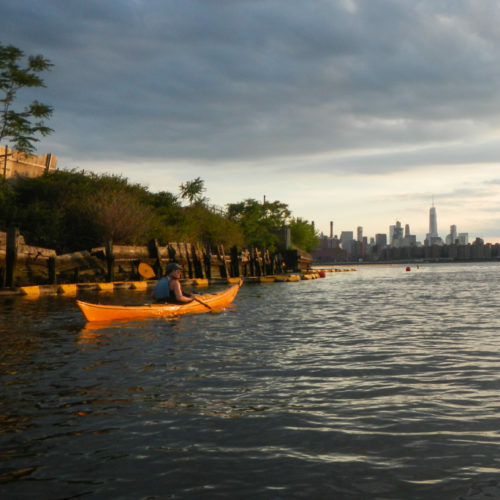 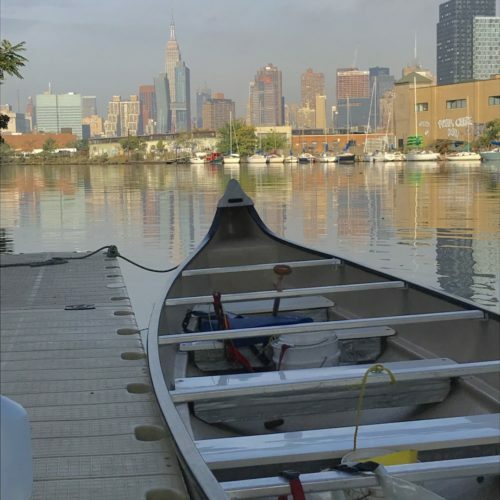 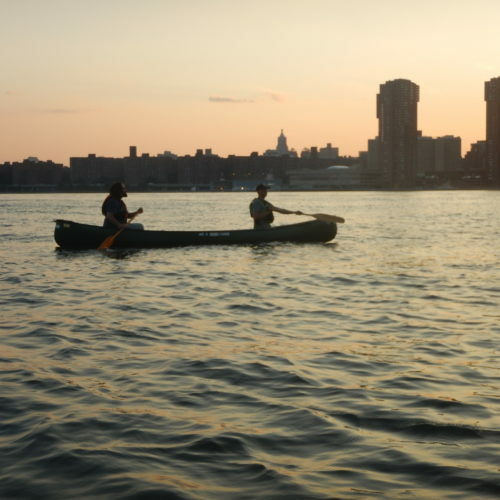 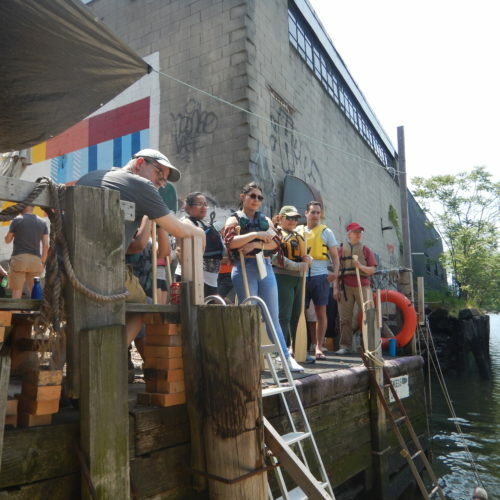 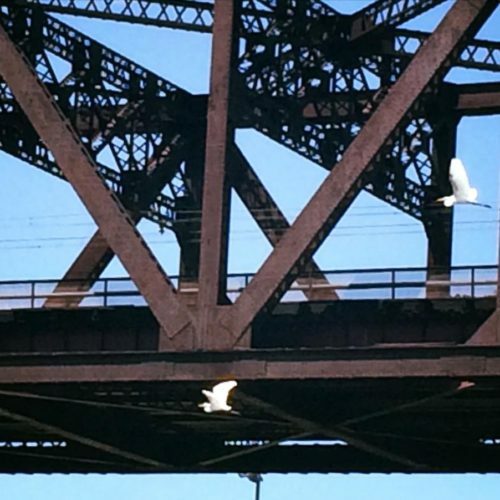 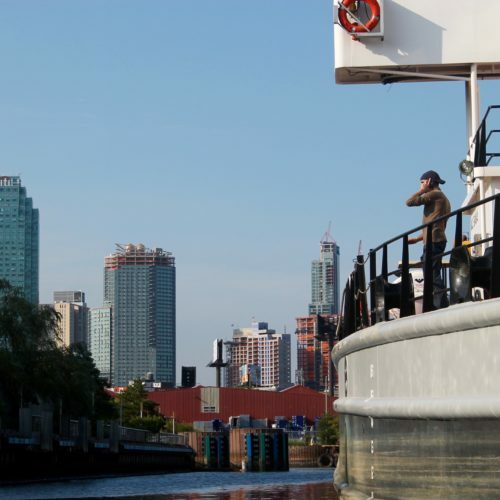 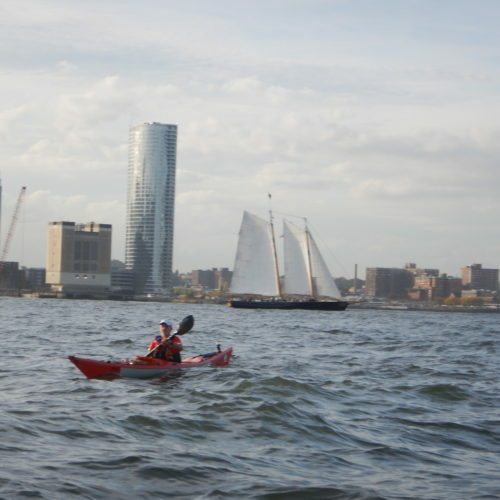 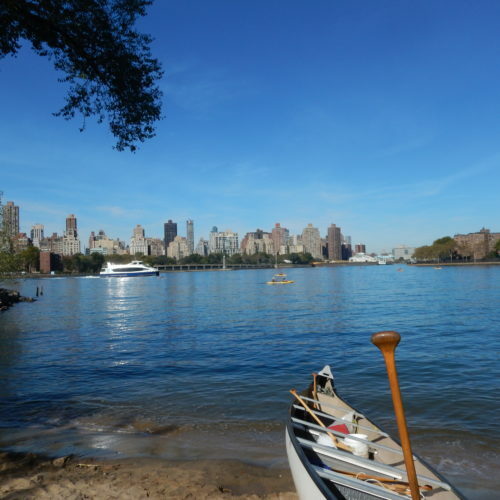 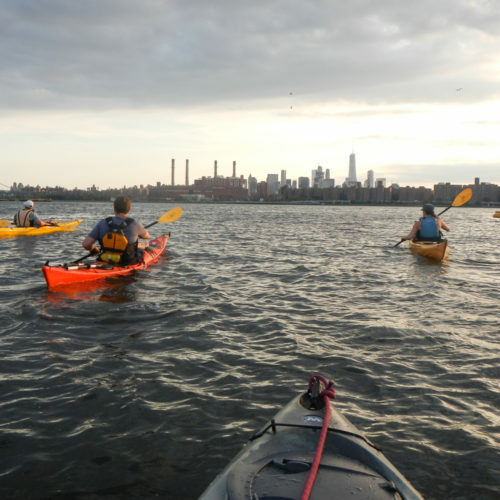 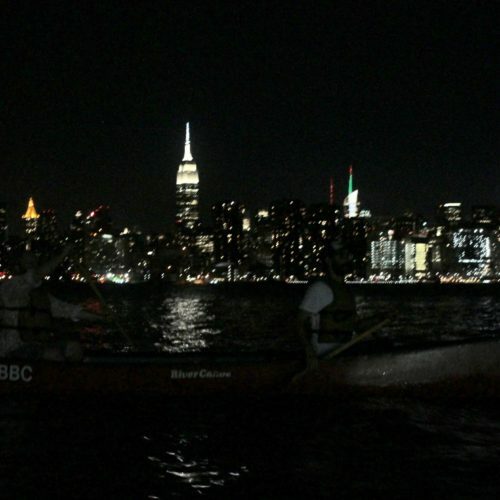 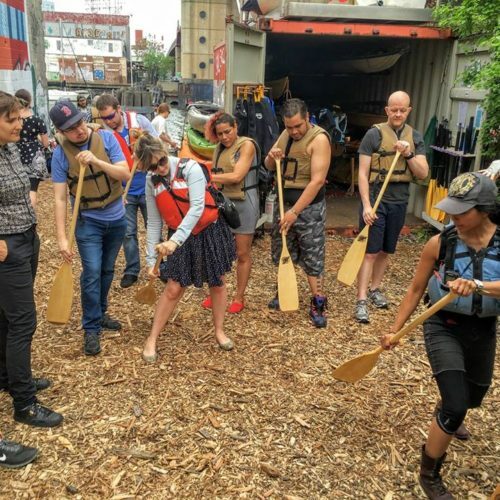 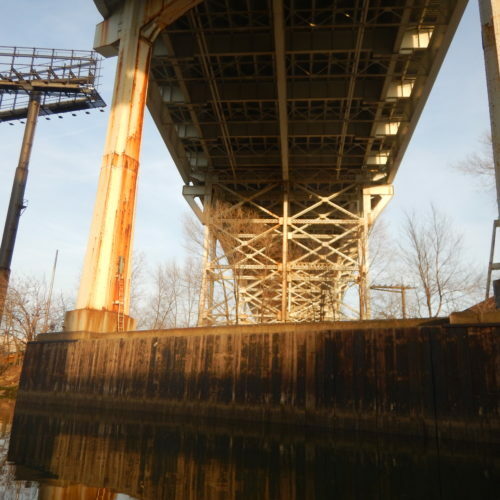 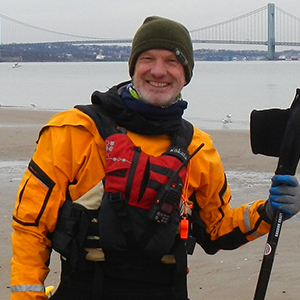 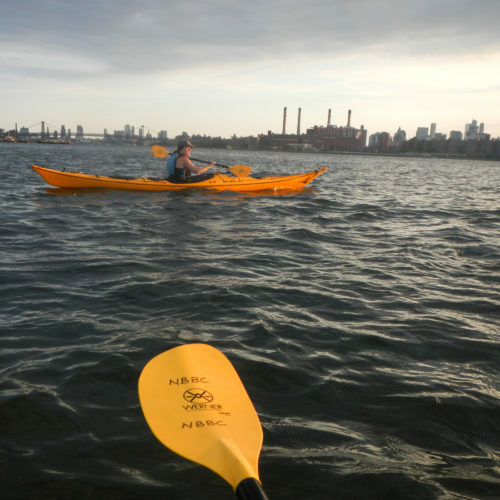 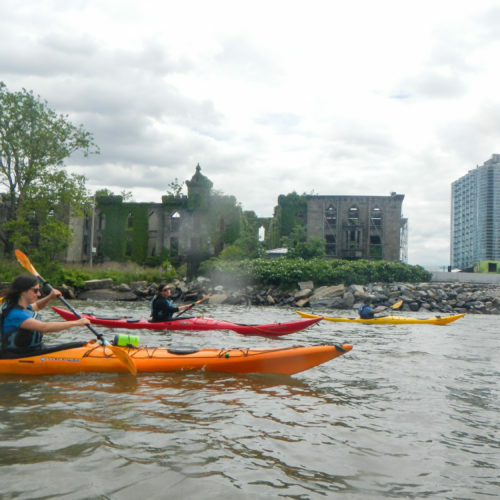 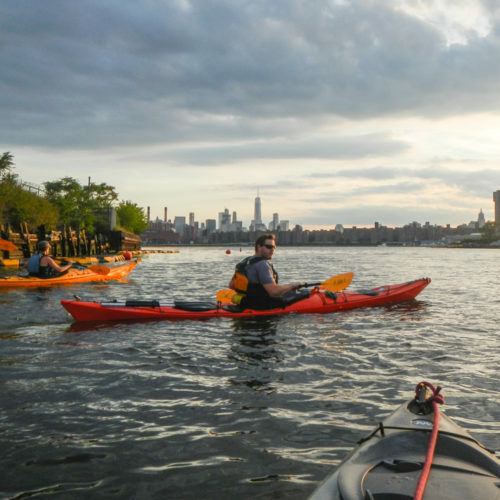 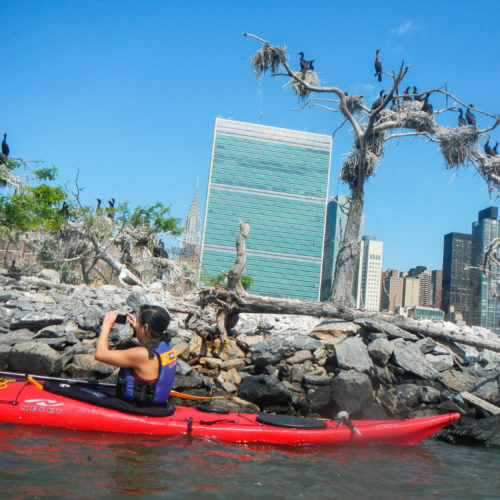 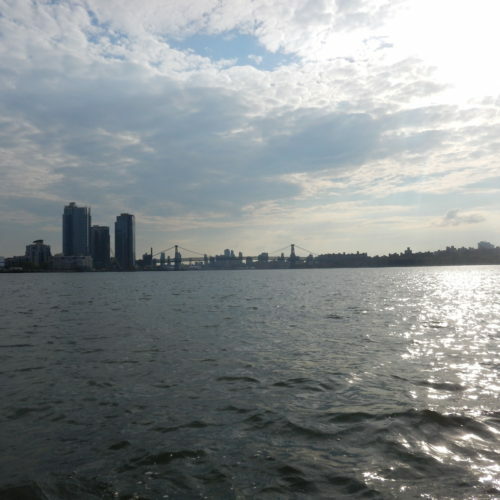 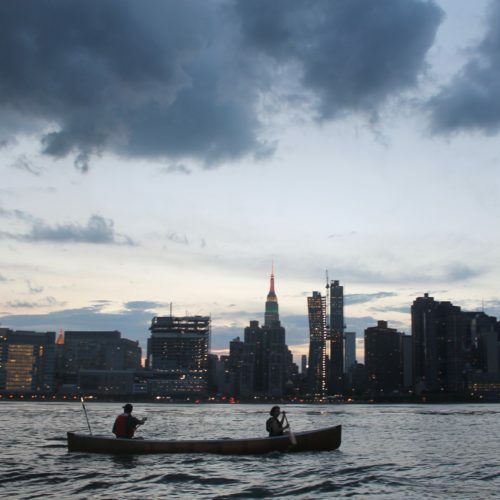 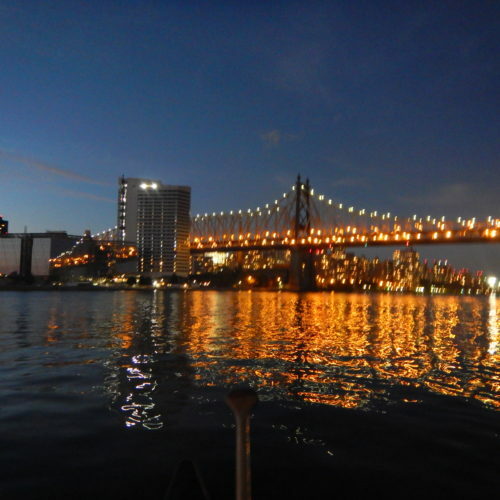 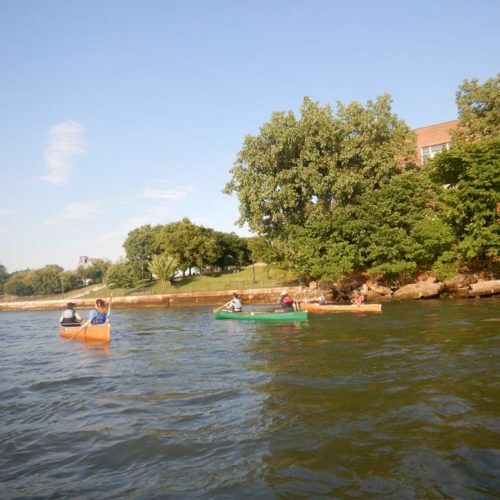 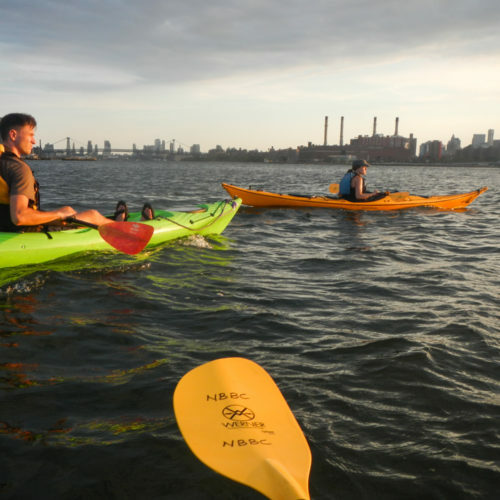 The North Brooklyn Boat Club is proud to offer multiple opportunities in delivering environmental education to local organizations, educational institutions and school groups as well as community members. 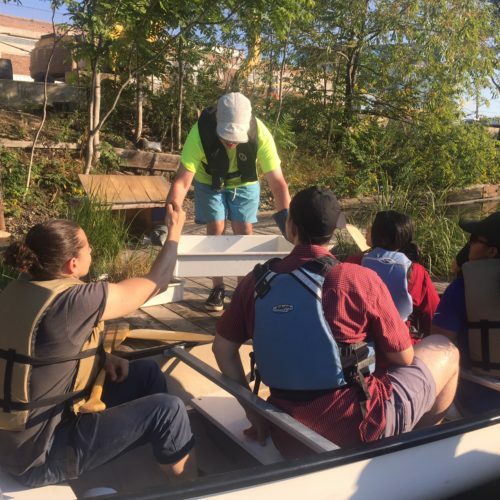 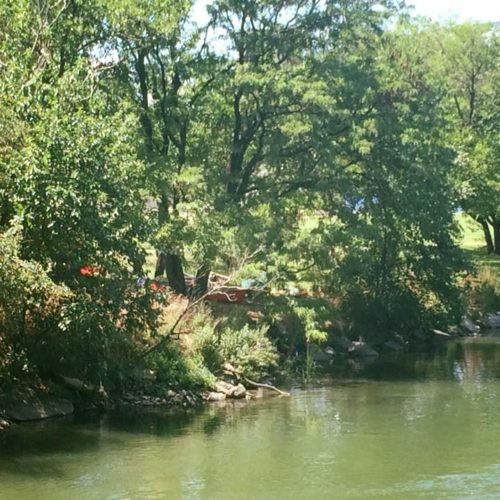 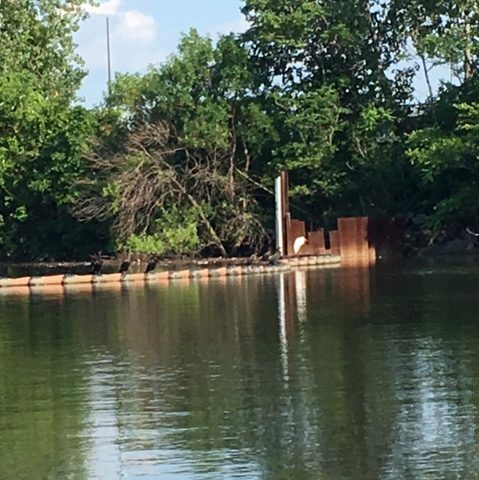 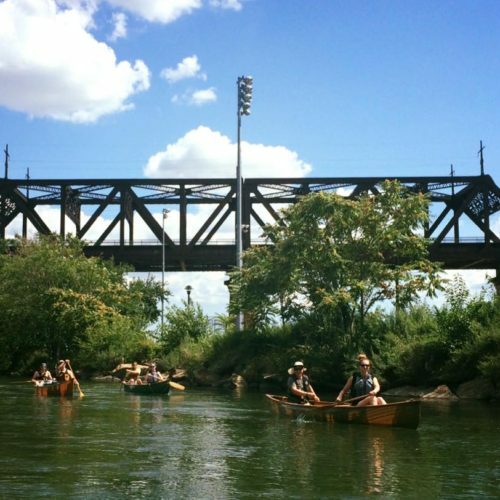 We have two main programs, an on-land component and on water version to better involve citizens with a number of ecological issues facing our beloved waterways. 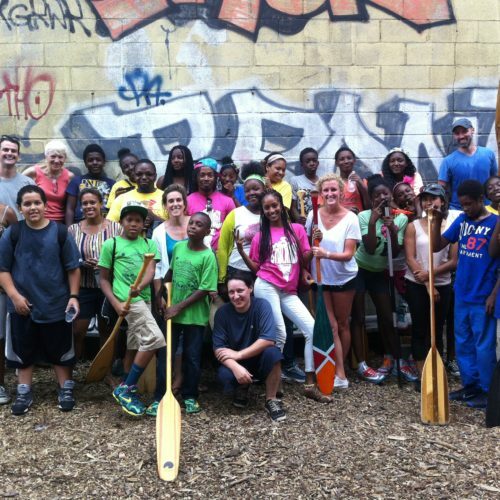 We typically deliver programming for groups of all ages with up to 30 participants. 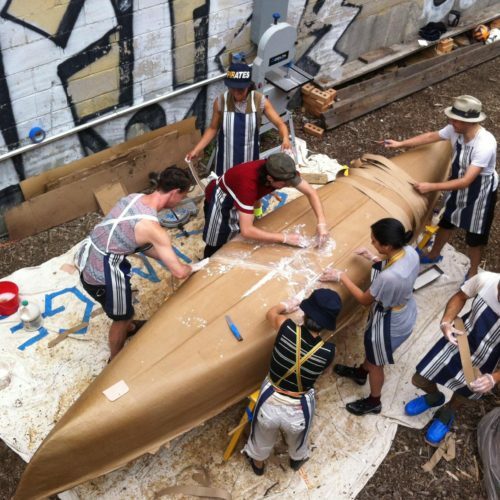 If you are interested in participating in our programs please contact us fill out out informational form here. 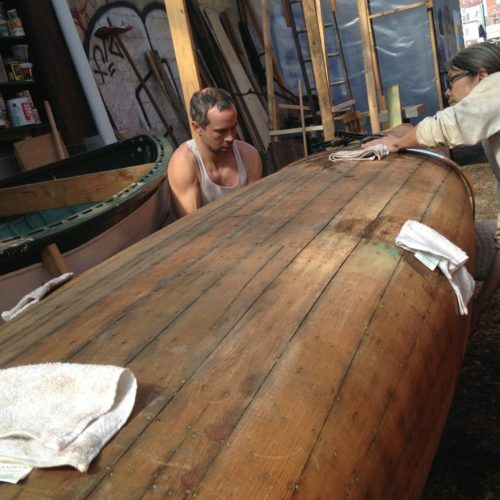 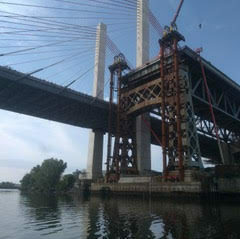 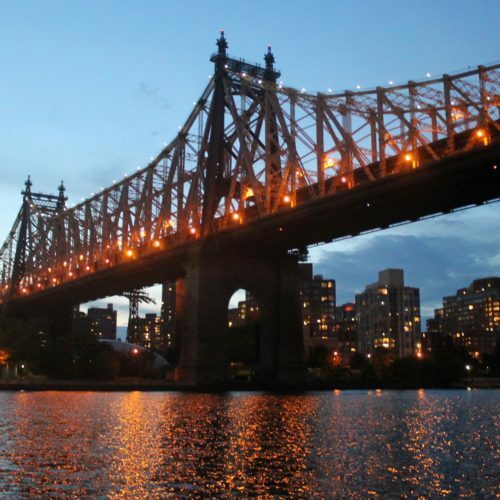 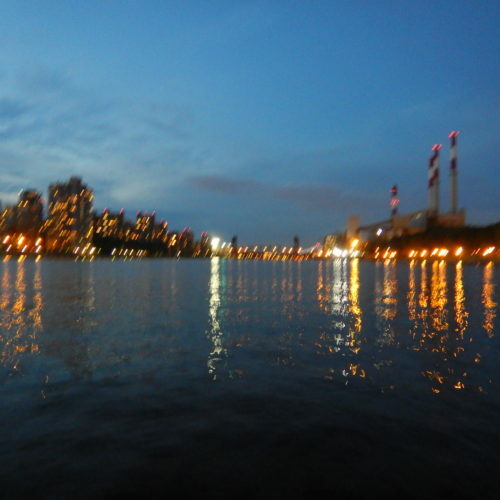 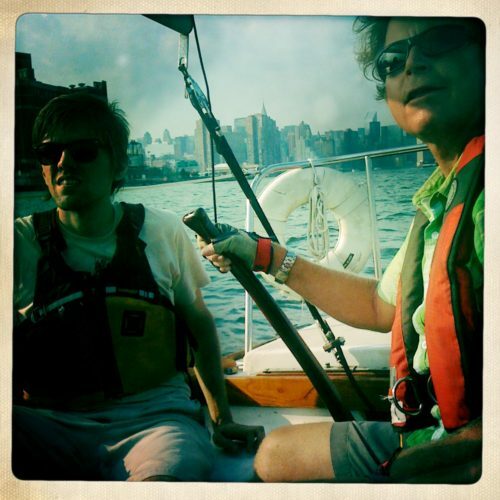 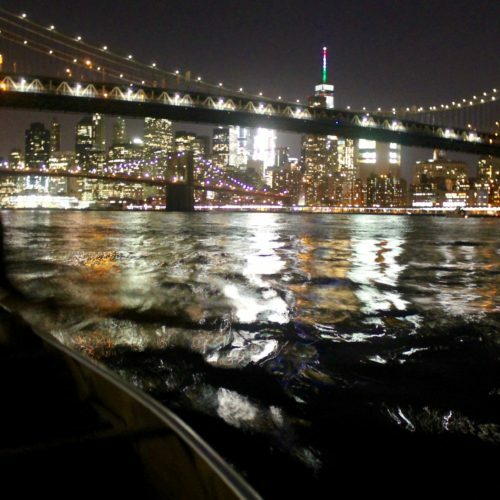 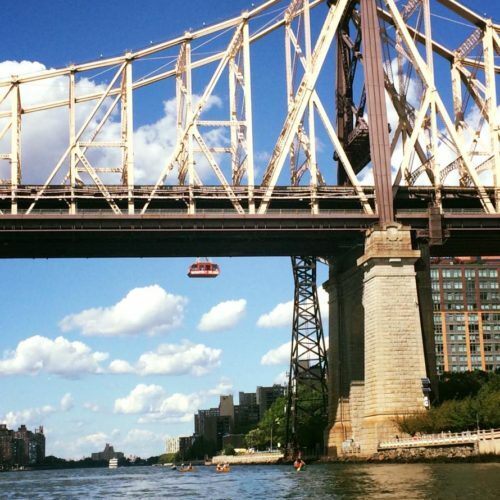 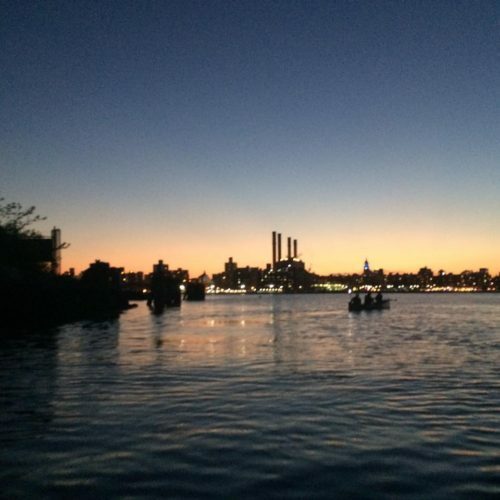 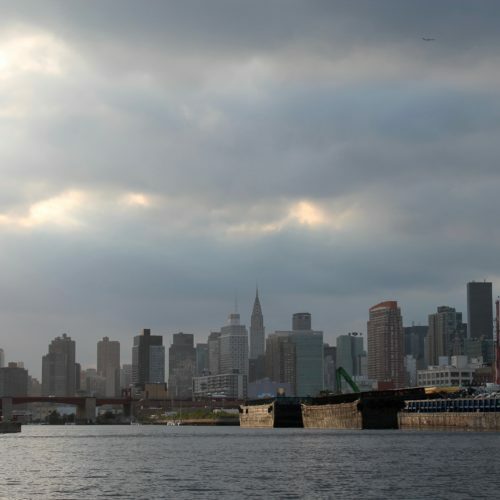 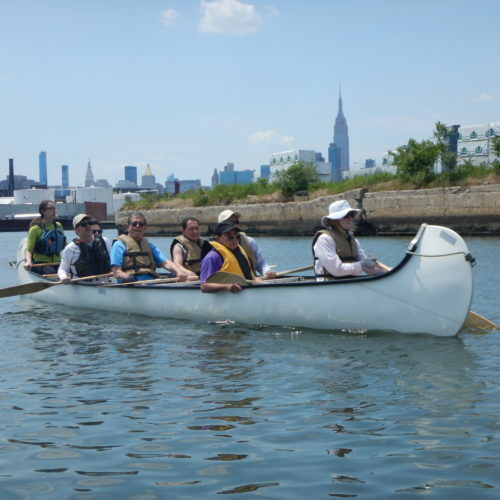 If you have any further questions, e-mail us at info@northbrooklynboatclub.org. 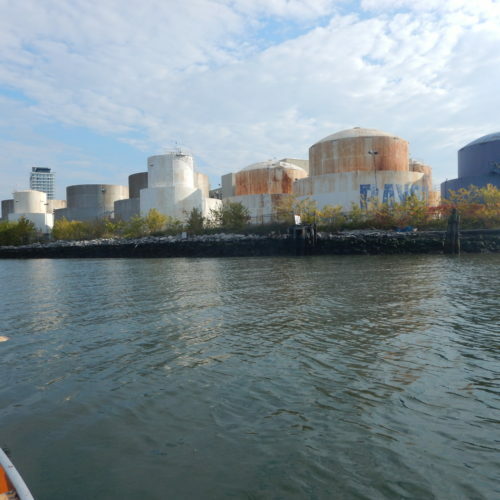 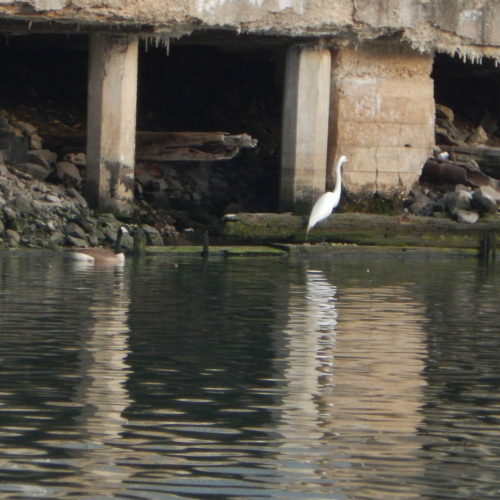 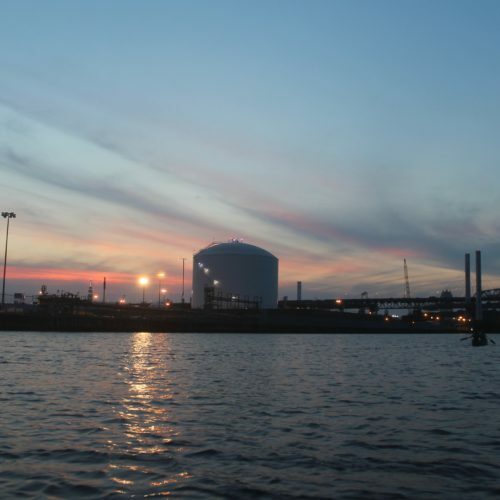 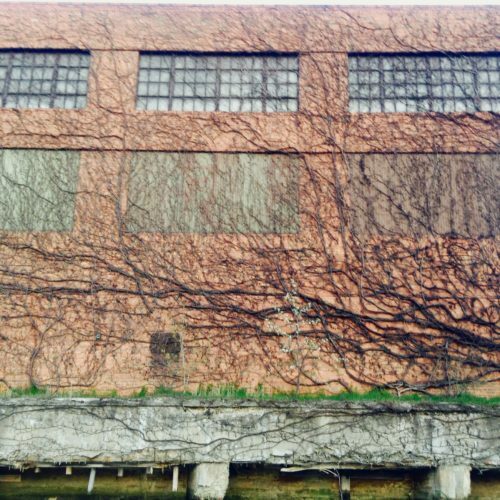 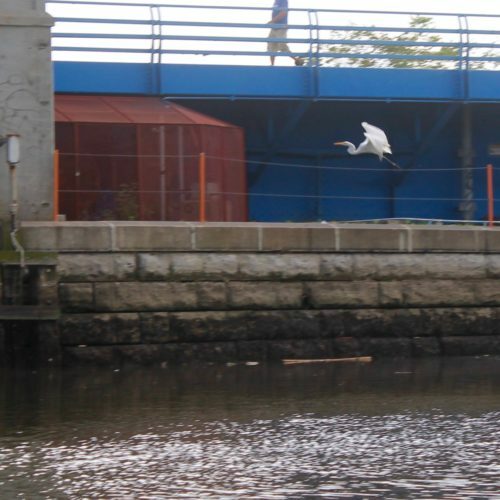 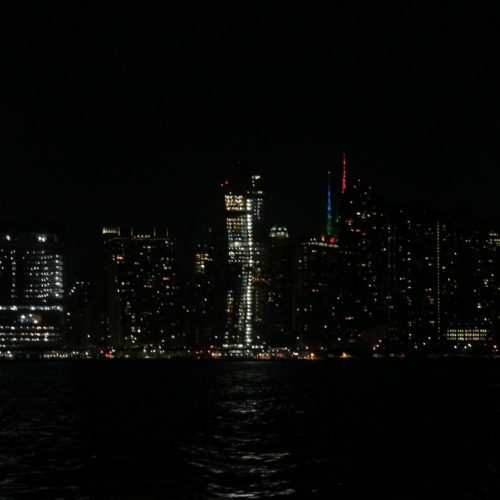 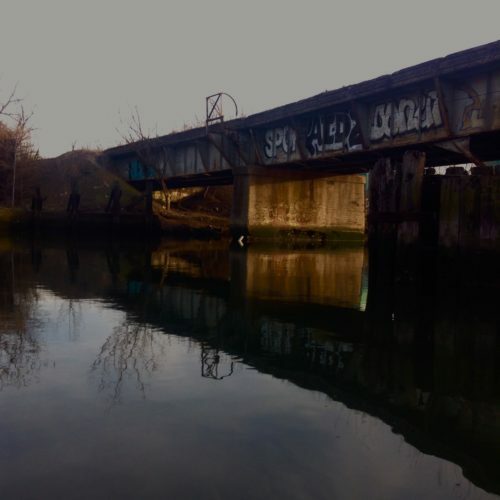 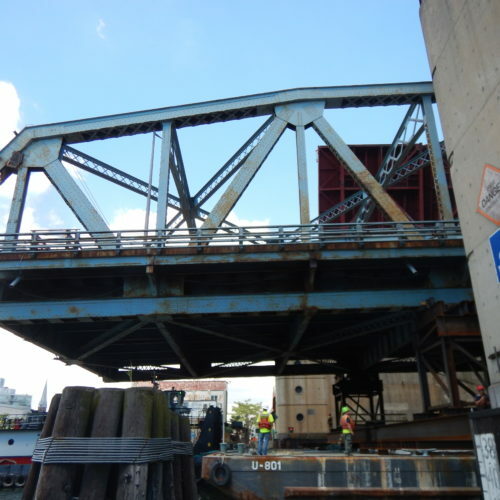 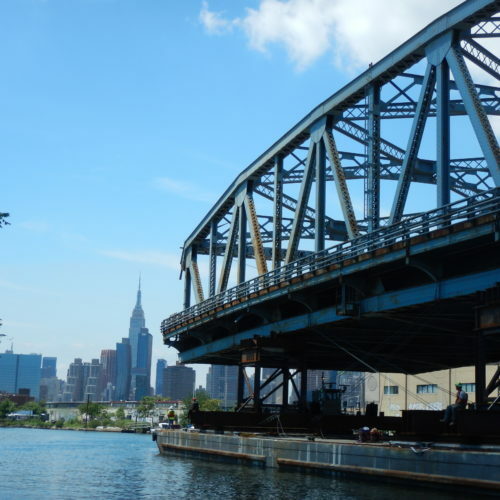 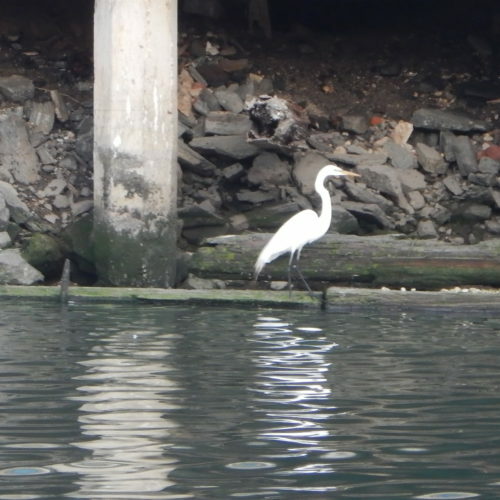 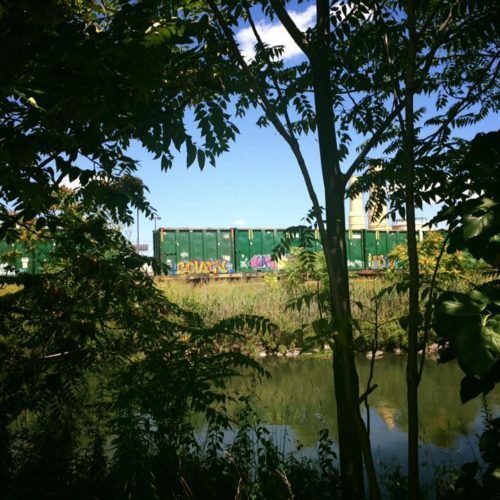 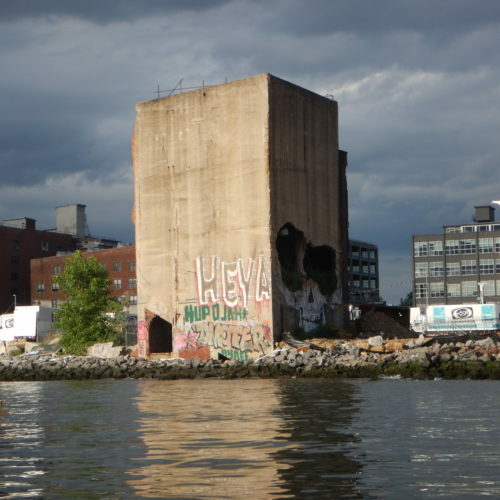 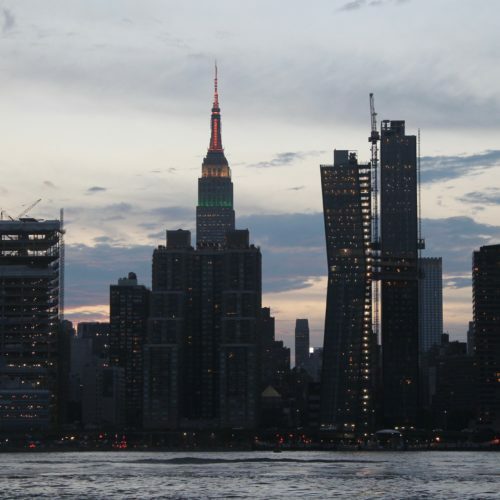 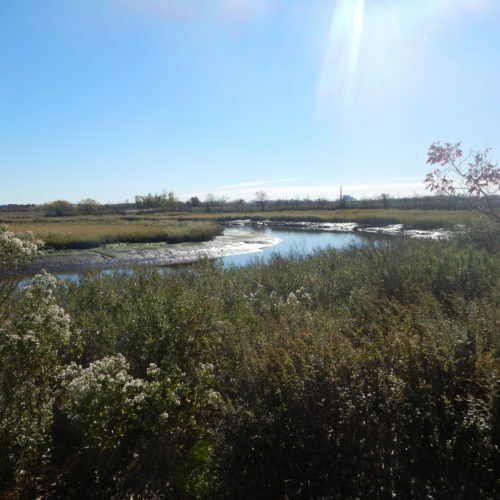 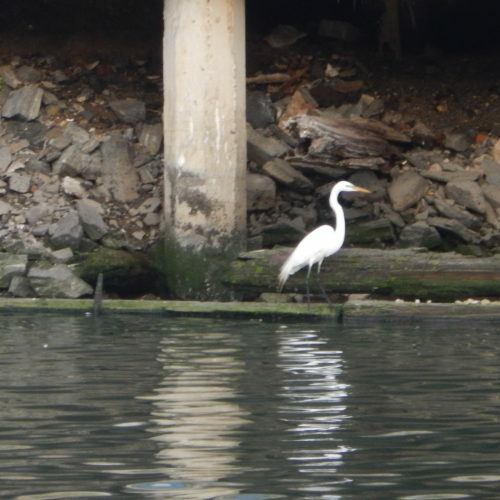 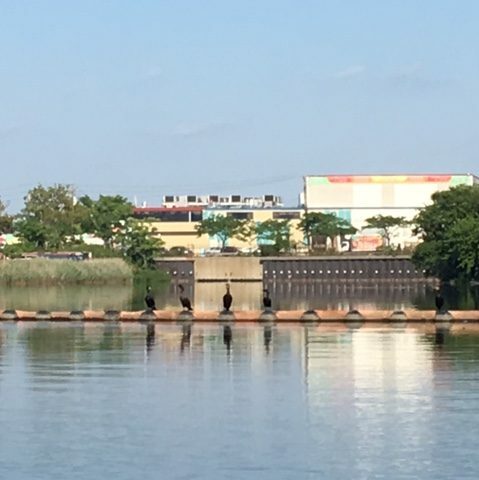 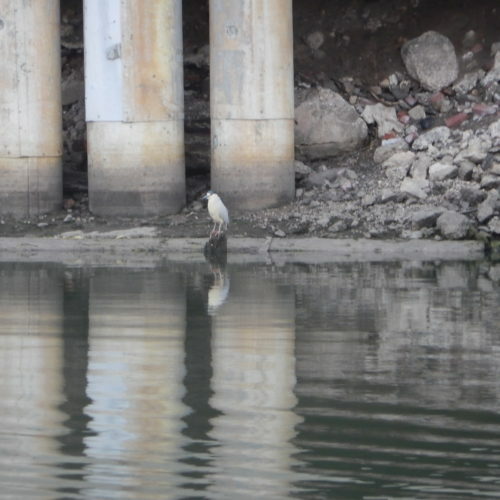 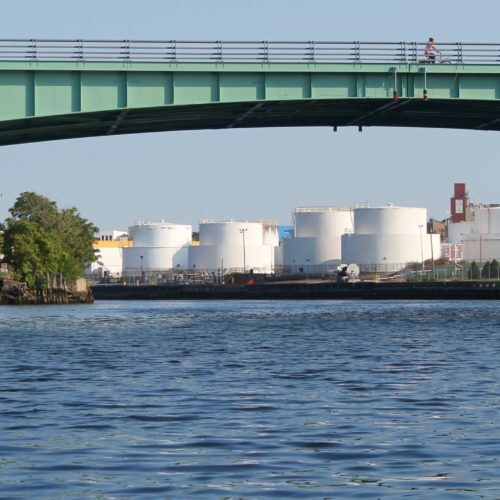 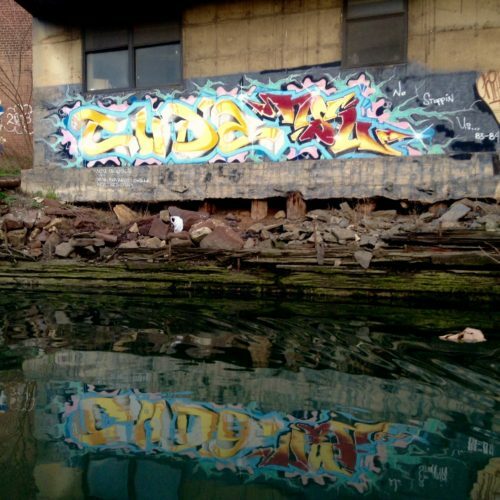 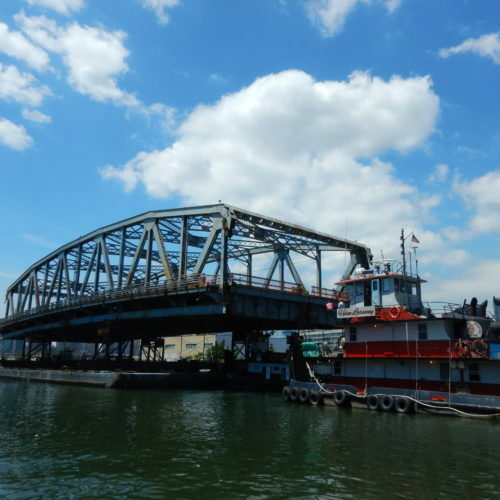 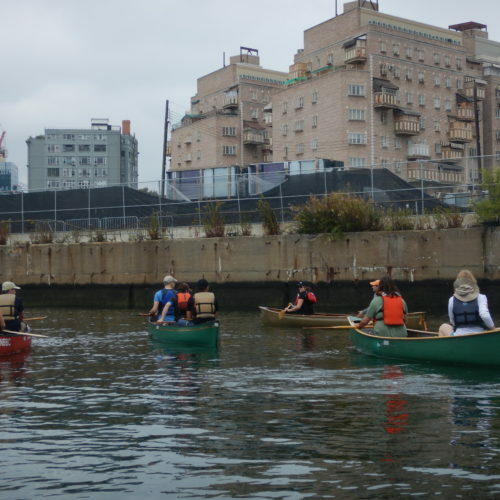 In conjunction with LaGuardia Community College we have developed an on-site educational space to focus on the environmental issues near and dear to our location on Newtown Creek. 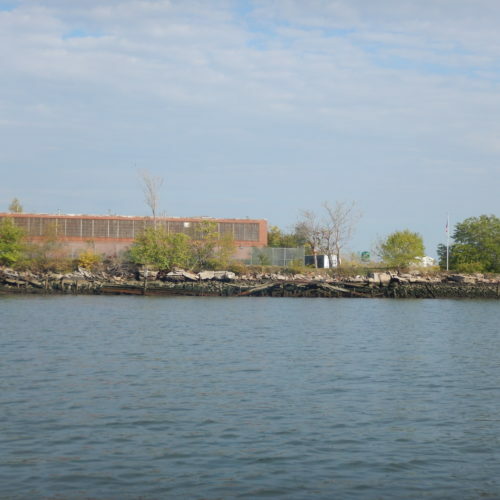 The EDshed introduces visiting teachers, students and community members to the intertidal animals, plants and natural processes that once dominated the native salt marsh ecosystem of the Hudson River Estuary, as well as the industrial history that altered much of the natural environment and potential to improve conditions in the near future. 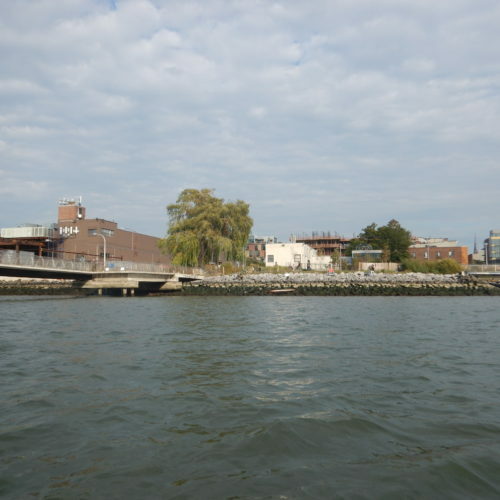 The space features a number of hands-on educational components and activities including our center piece aquarium, water quality monitoring, and plankton sampling and observation. 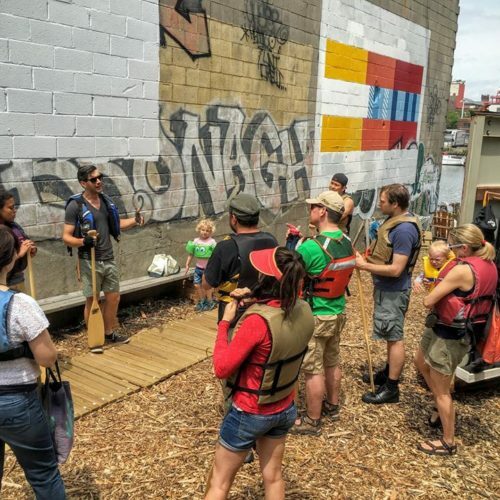 Be sure to check out our Youtube channel for the latest observations in our tank and nearby waters; and for educators check out our Environmental Education Workbook for an idea of what a typical class visit covers. 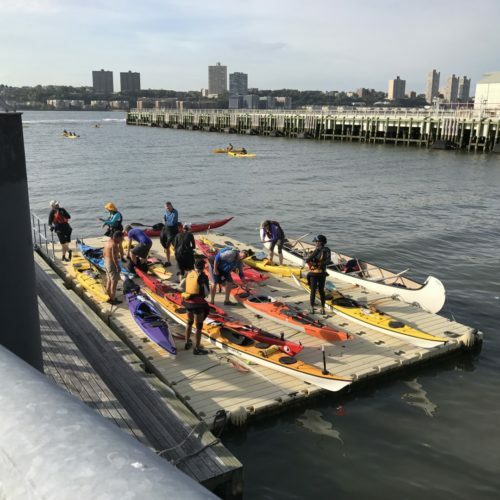 The Ed Shed is made possible by the generous support of the Hudson River Foundation’s Newtown Creek Environmental Fund and the Greenpoint Community Environmental Fund. 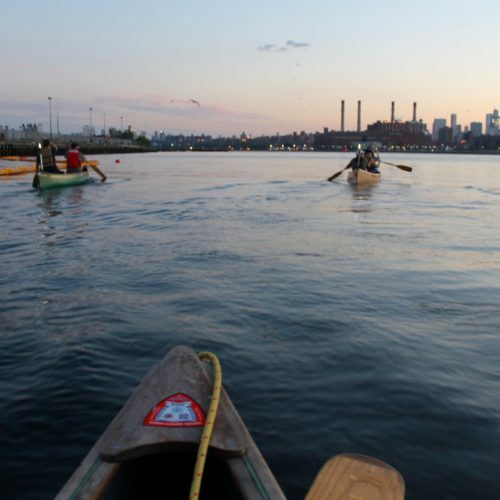 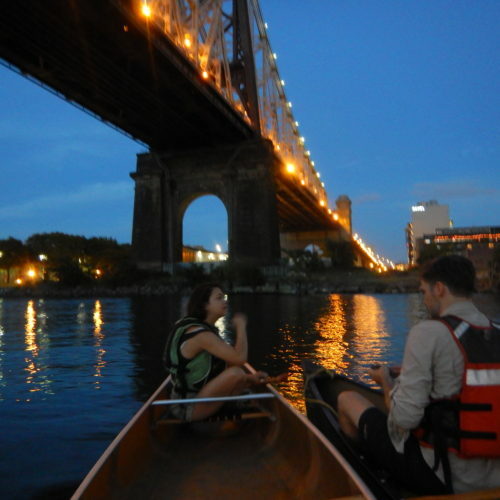 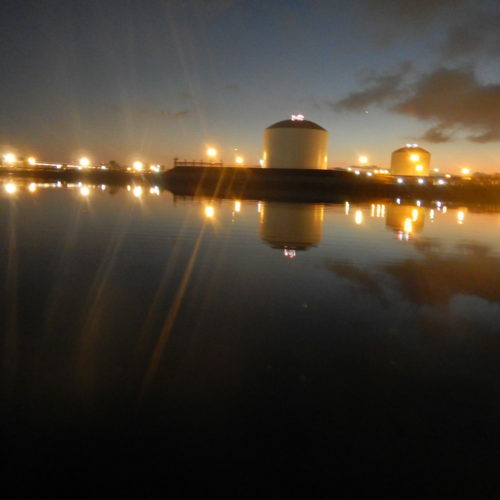 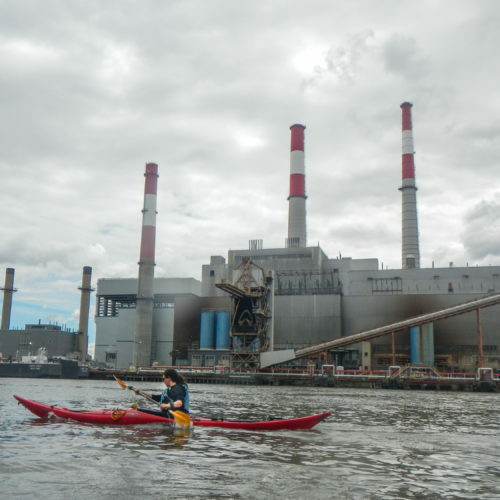 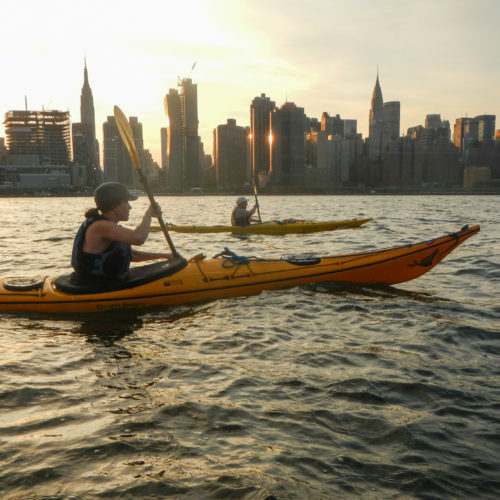 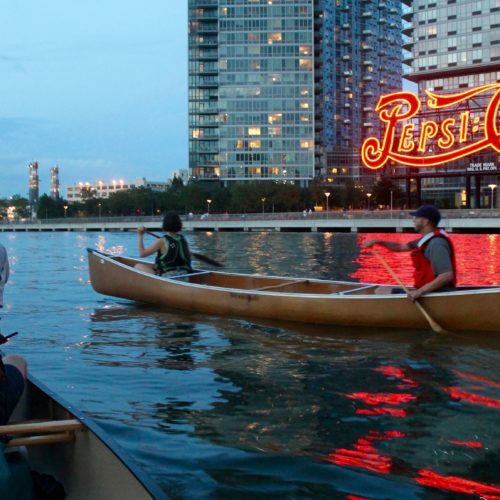 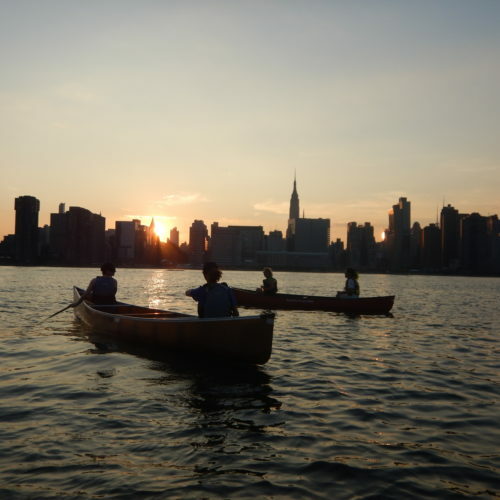 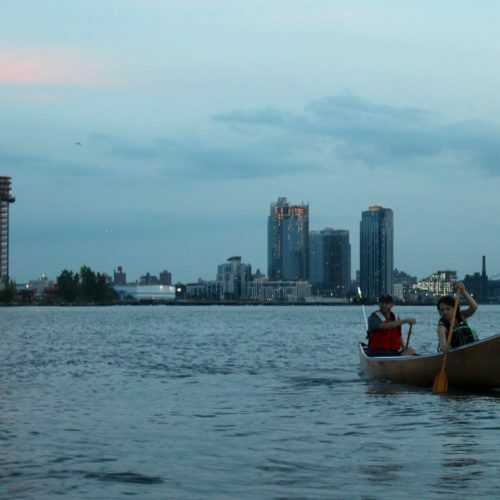 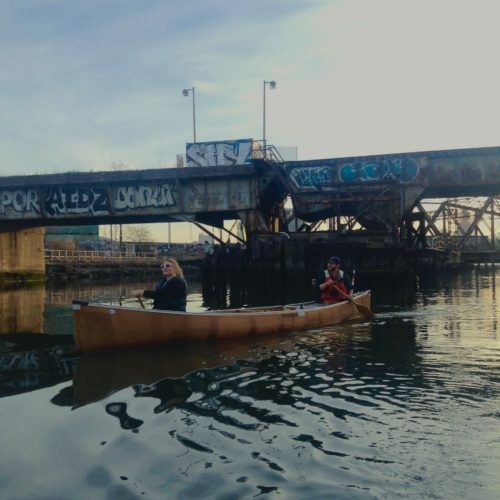 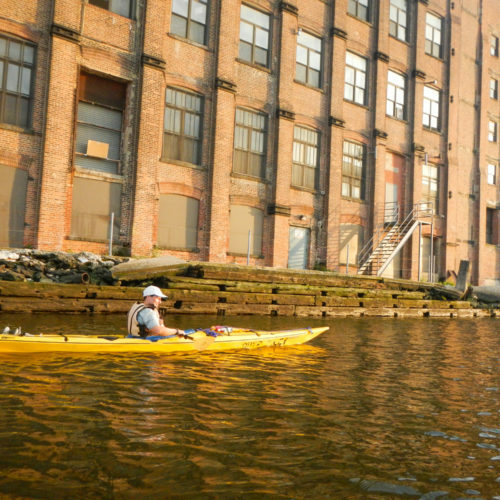 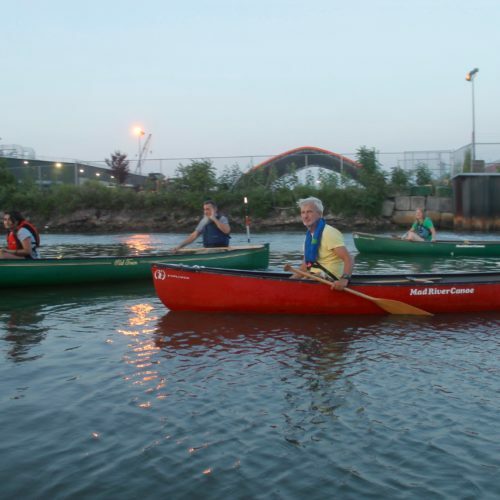 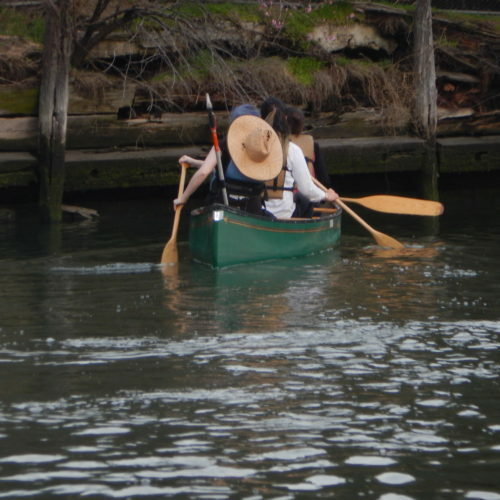 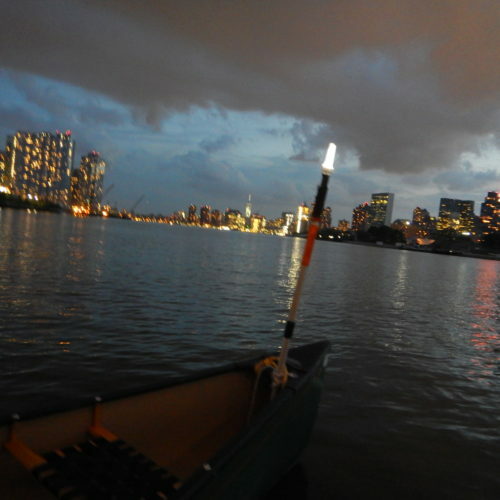 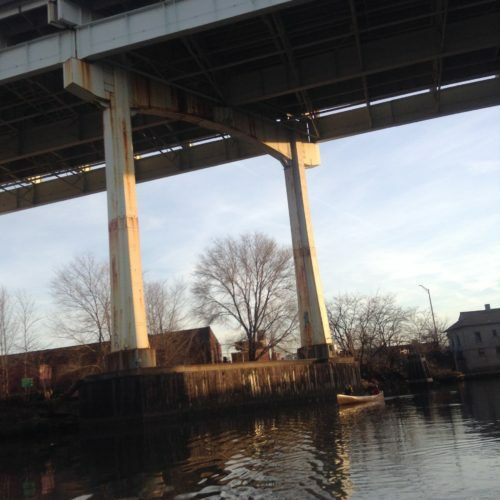 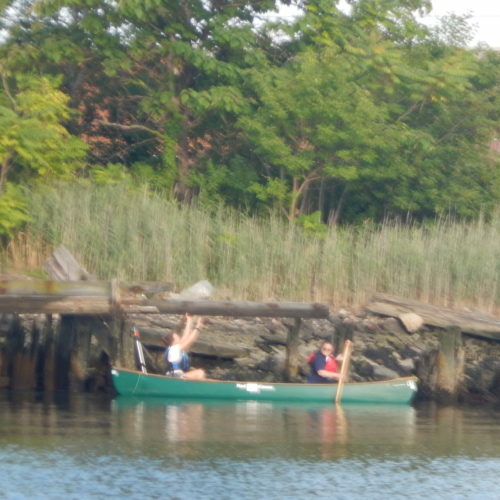 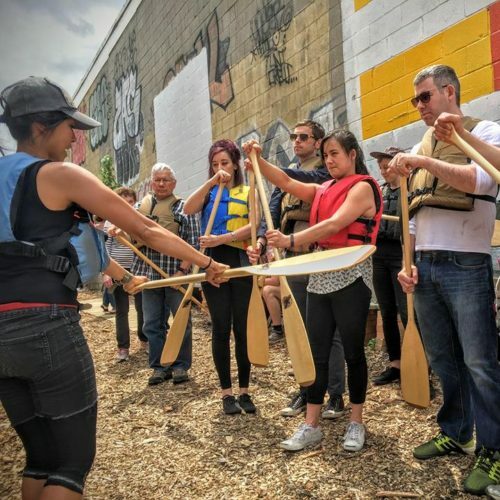 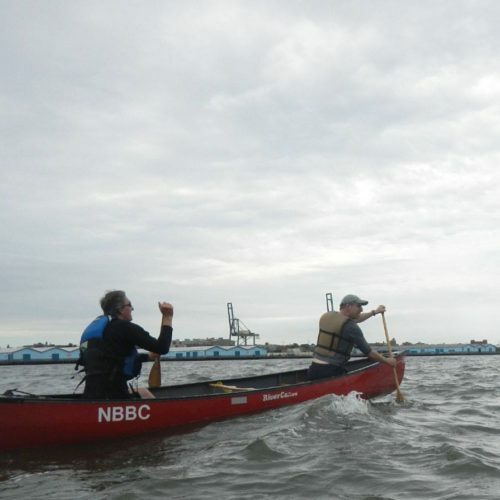 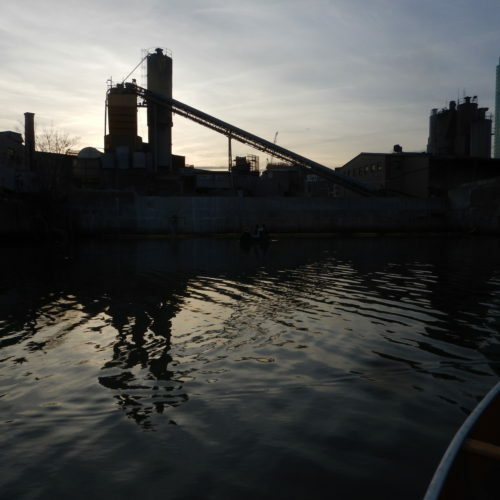 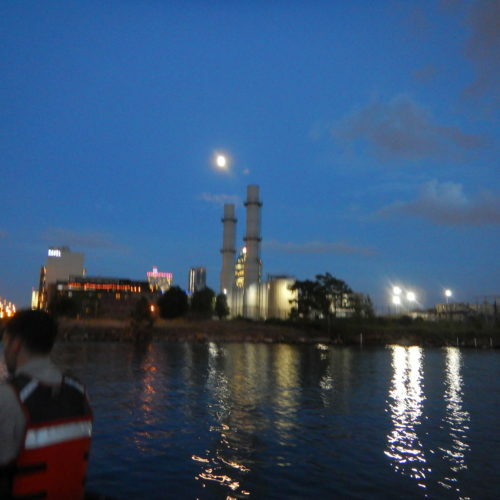 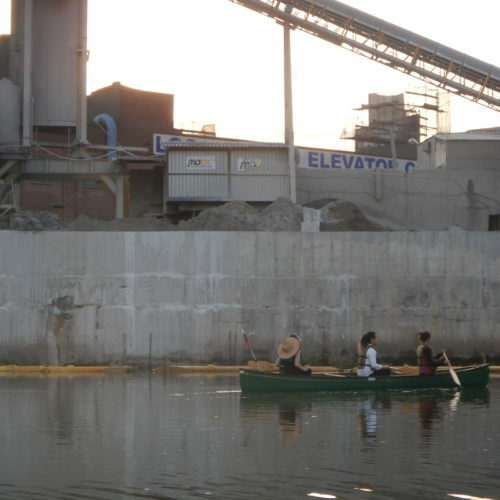 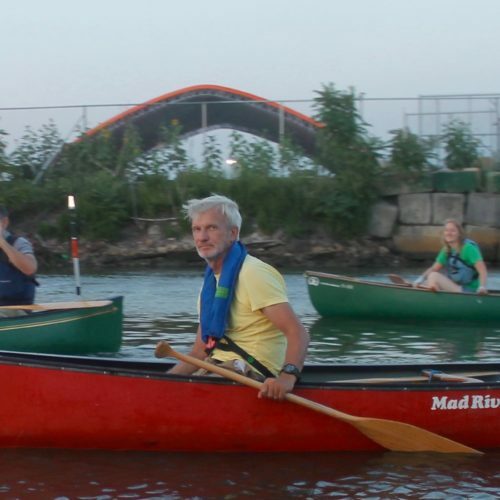 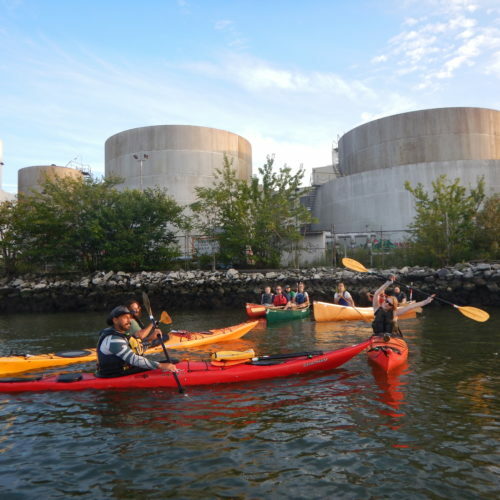 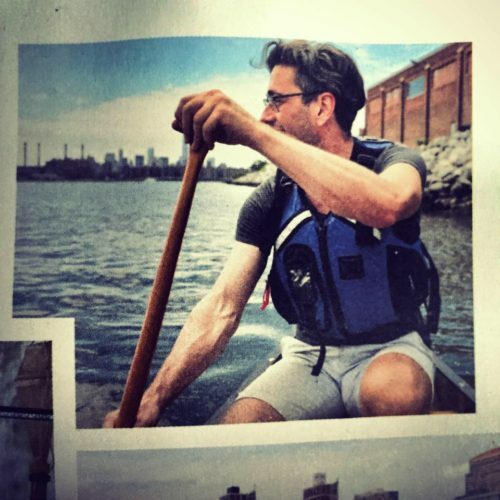 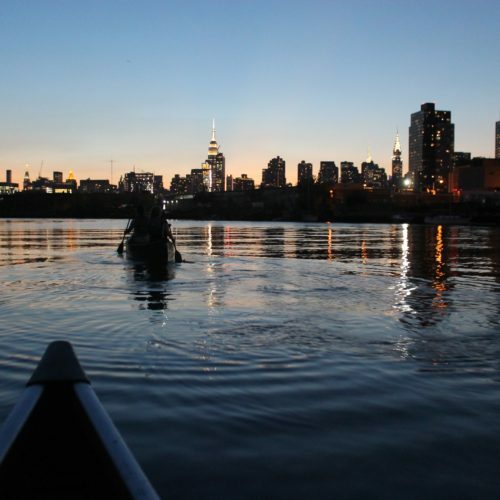 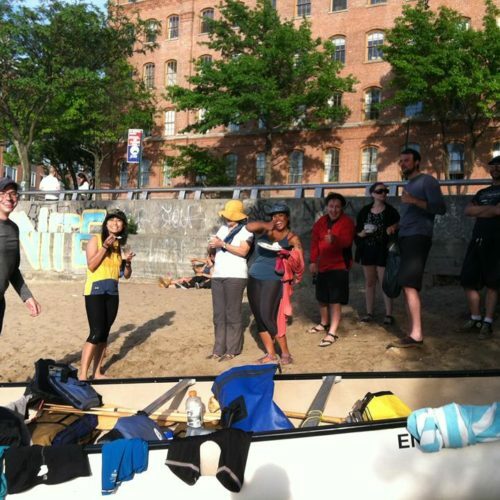 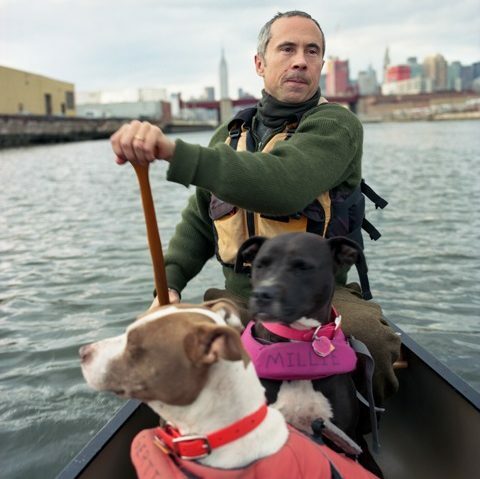 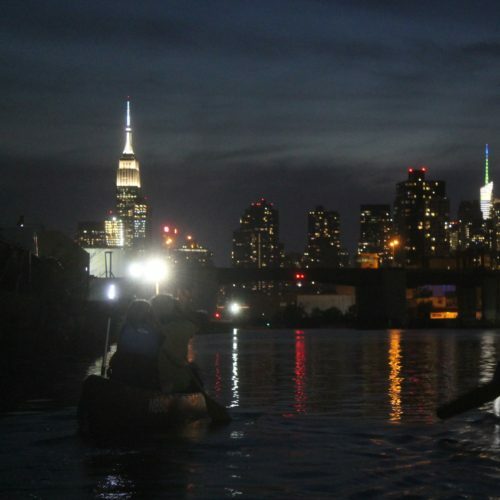 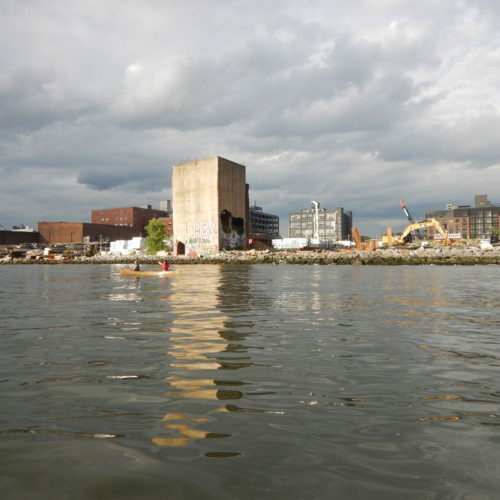 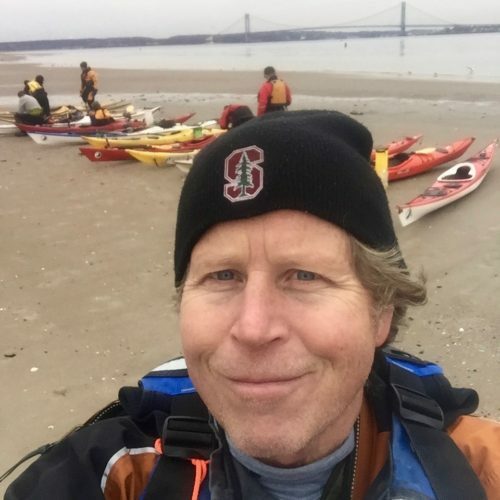 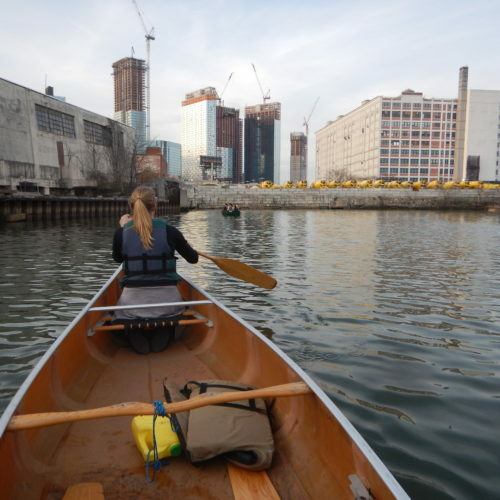 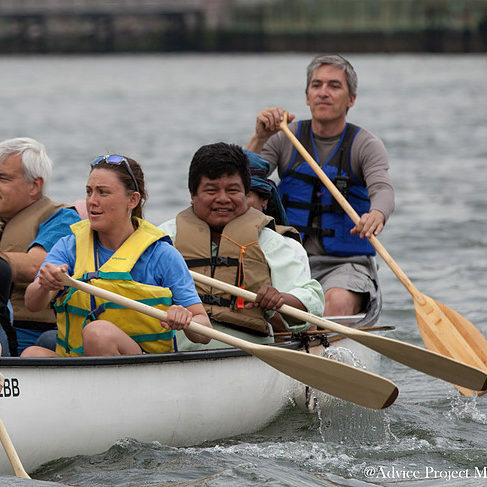 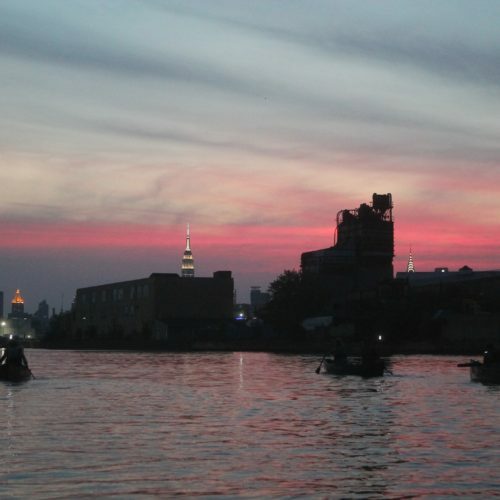 Using two 25 foot canoes (much longer and wider than our normal fleet), we are able to safely and effectively charter large groups (up to 20 persons maximum at a time) of inexperienced paddlers onto the water to witness, study and learn, first-hand, about the variety of environmental issues impacting Newtown Creek. 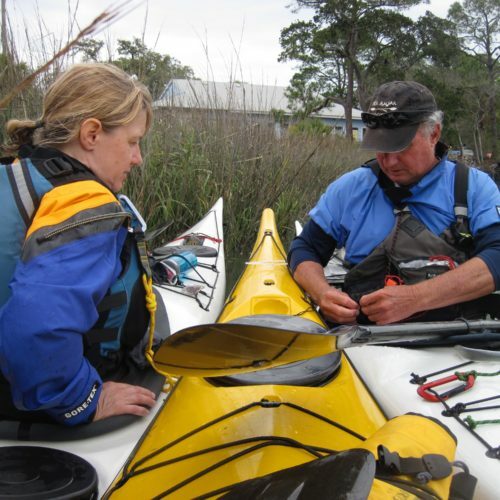 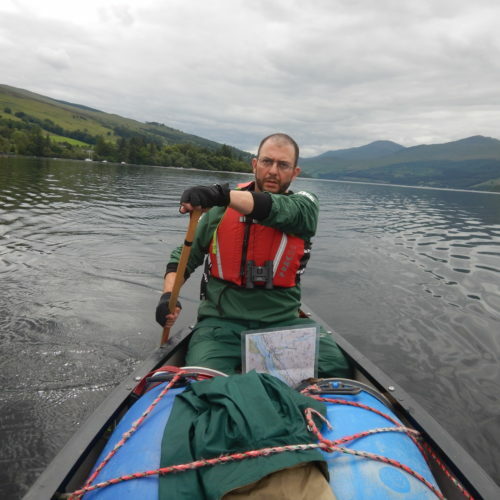 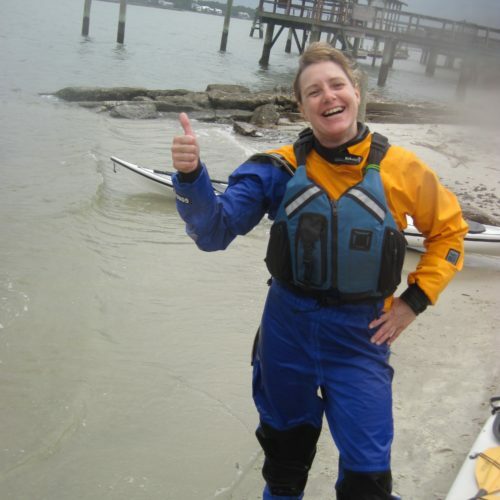 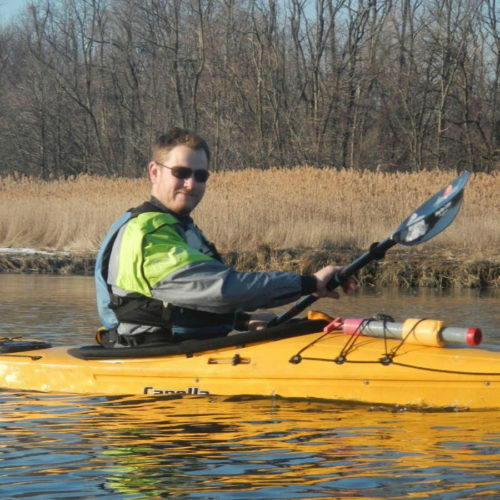 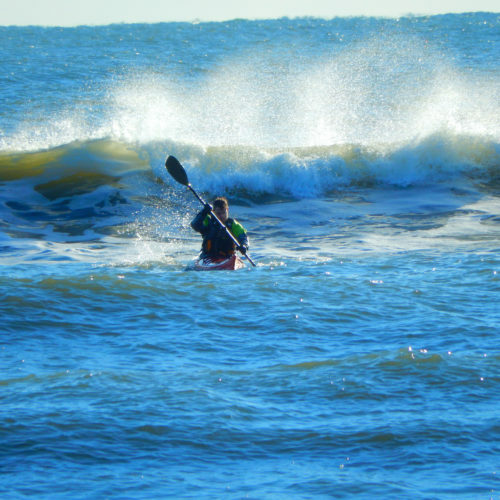 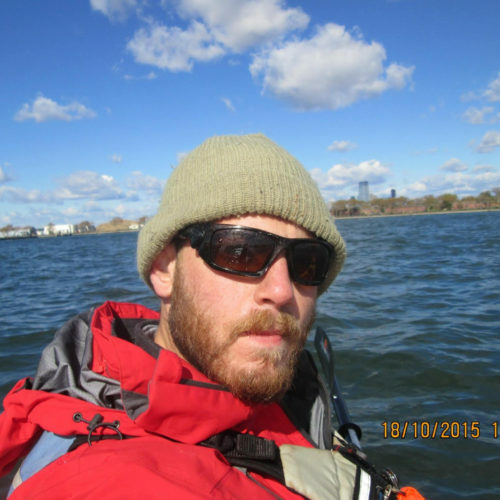 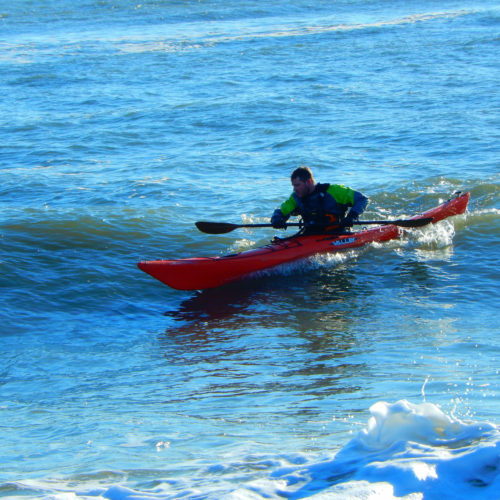 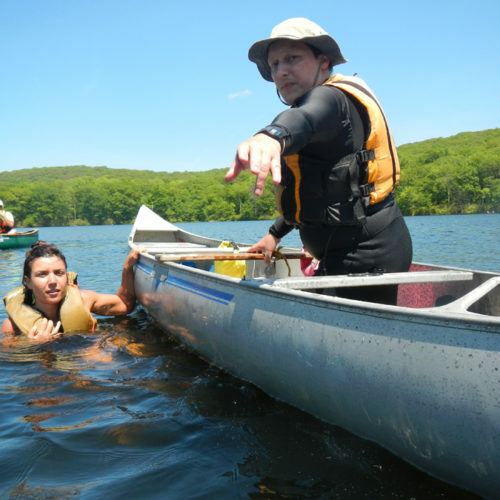 This includes Each canoe is captained by one of our professionally trained and experienced on-water guides. 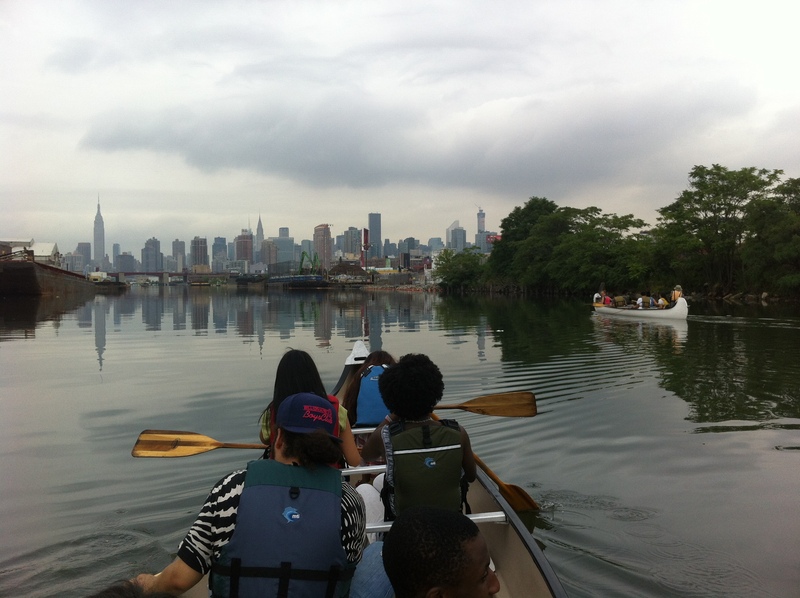 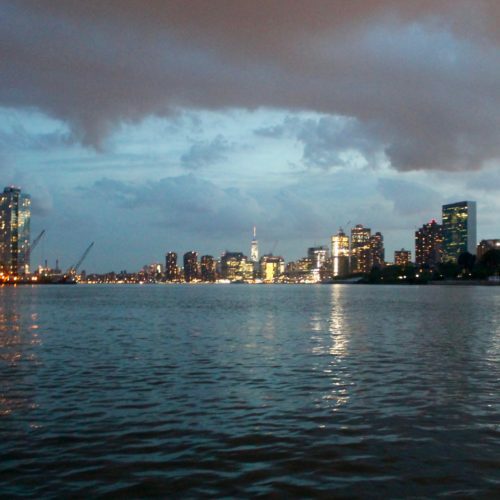 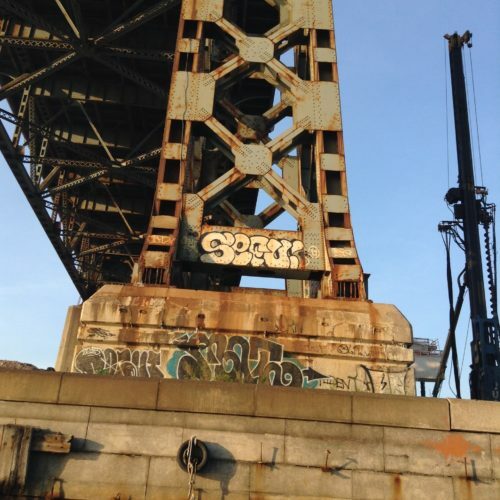 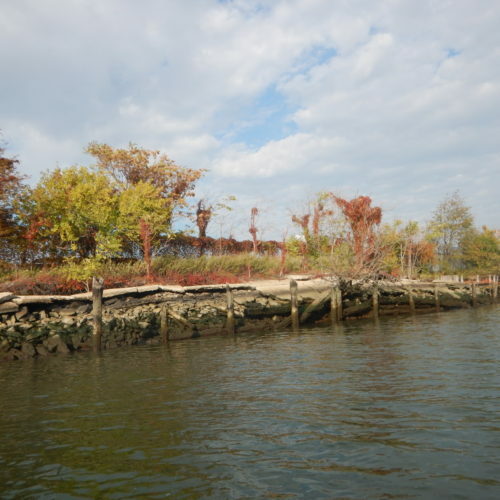 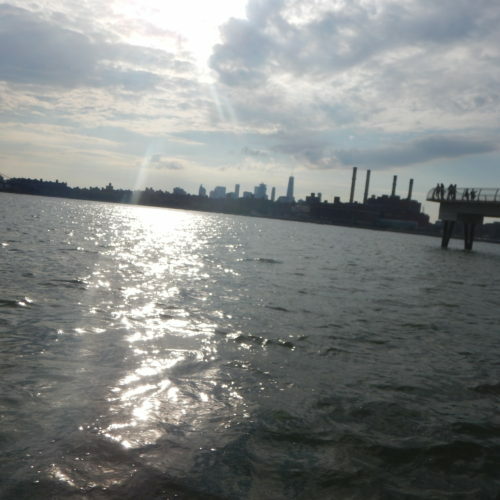 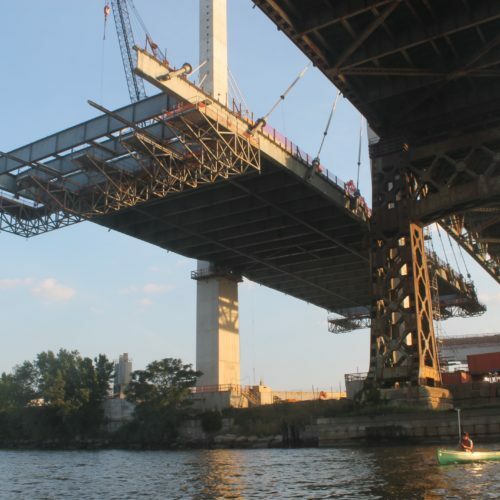 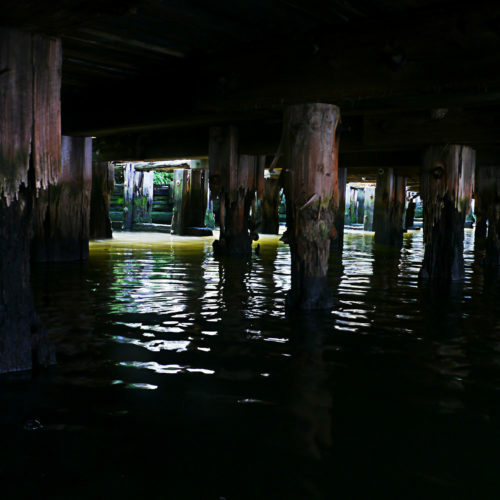 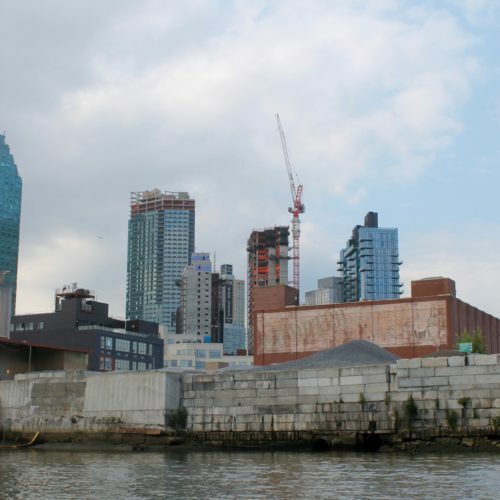 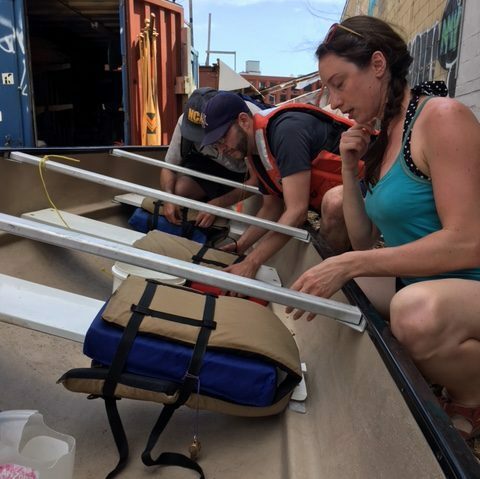 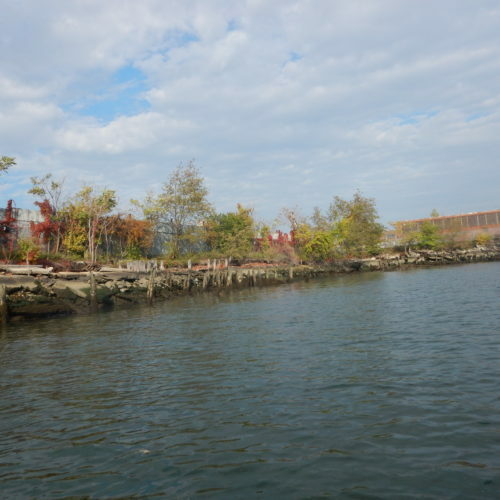 Floating Classrooms is made possible by the generous support of the Greenpoint Community Environmental Fund.